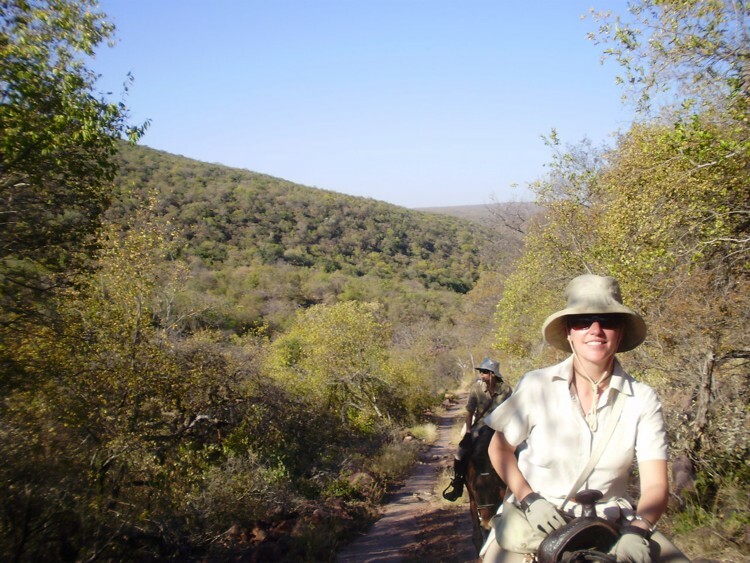 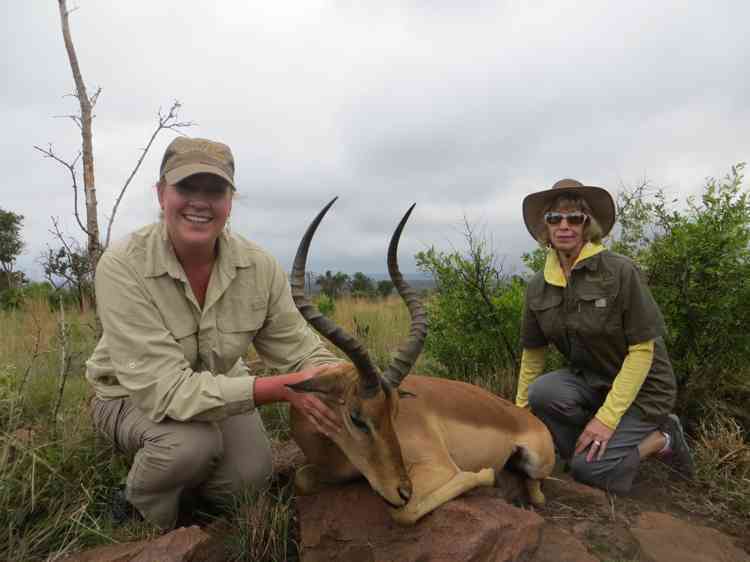 Safari Bookings for next season now open. 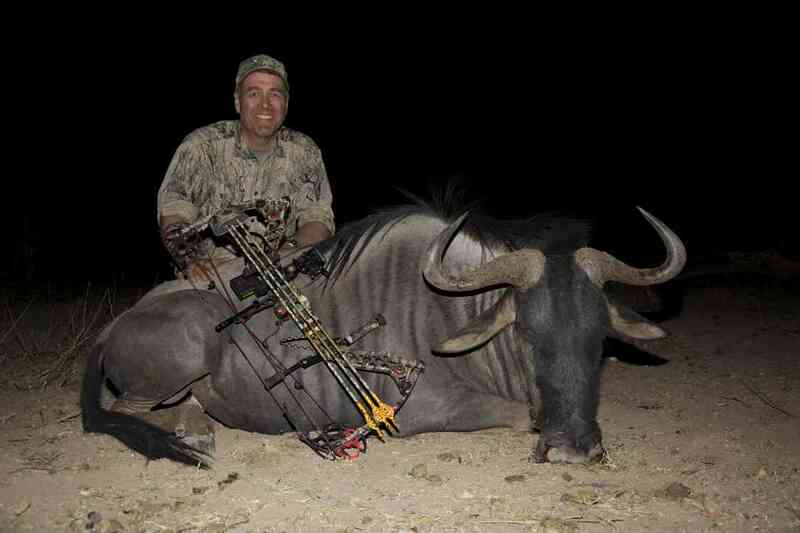 White tail Gnu or Black Wildebeest. 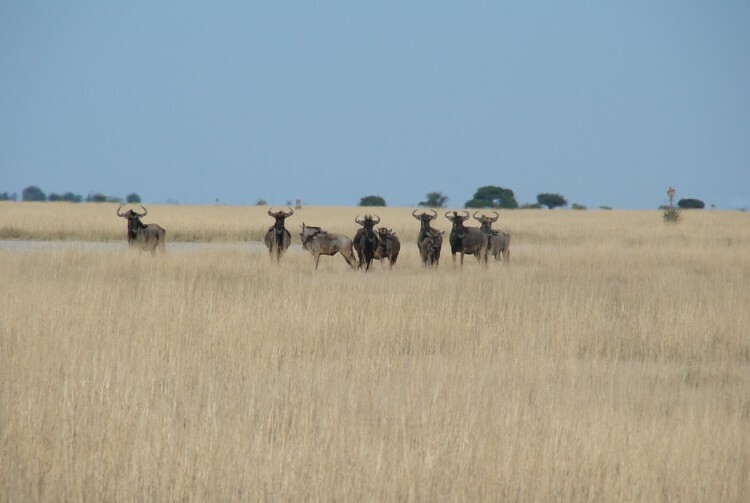 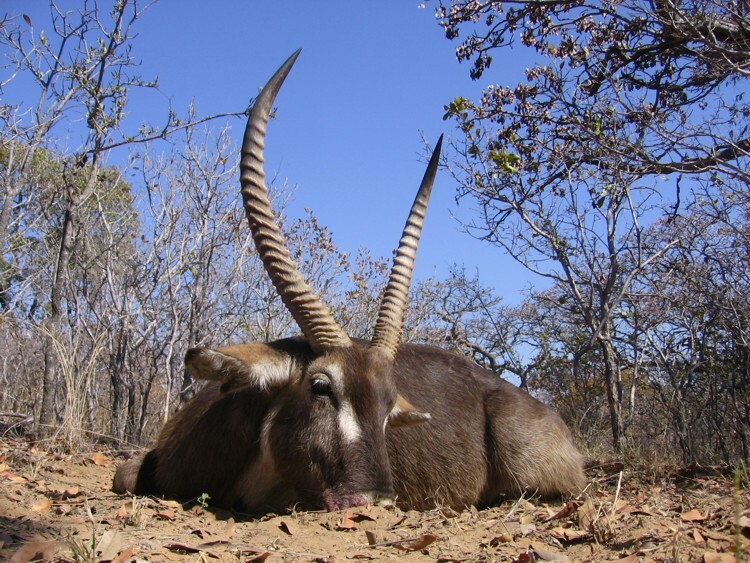 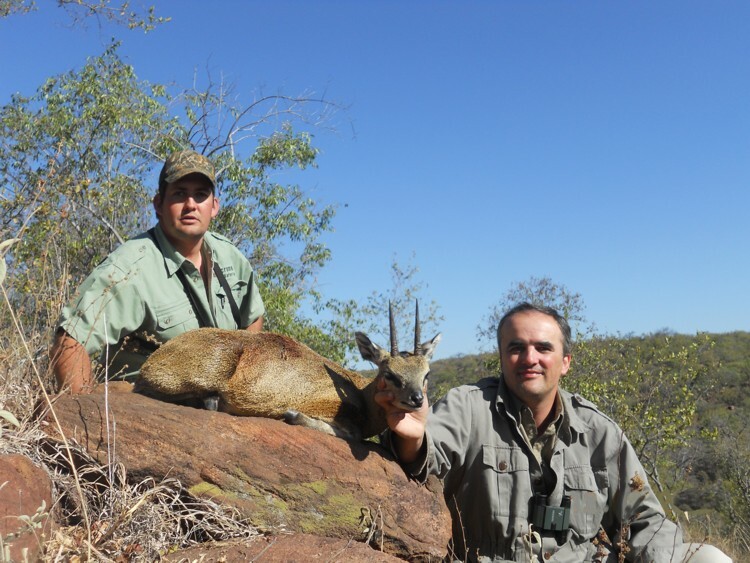 Waterbuck abound in the Waterberg area. 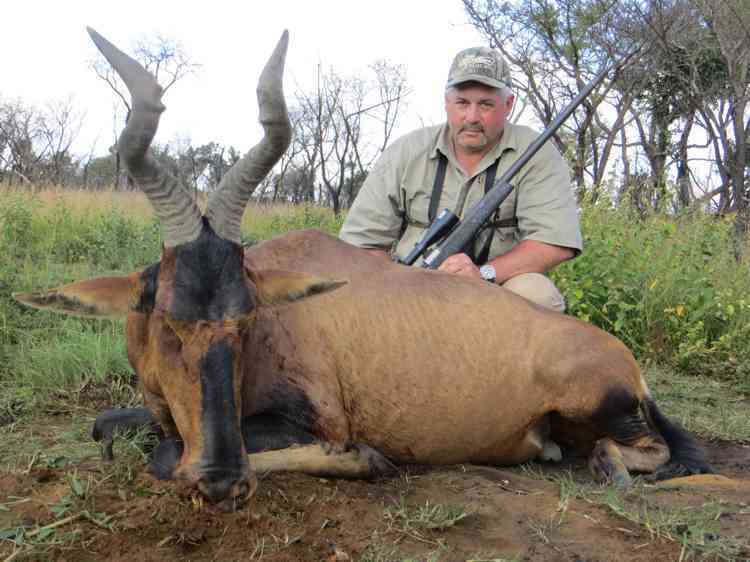 Red Hartebeest are one of the fastest antelope in Africa. 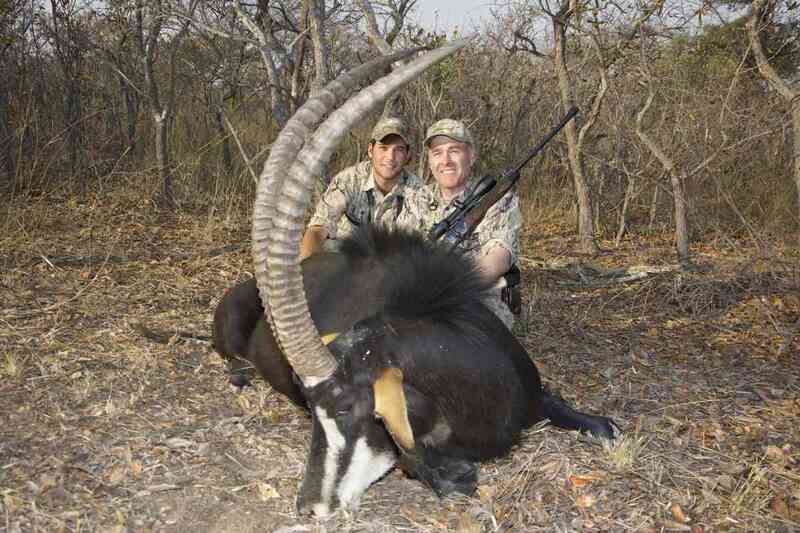 This spiral horned ghost is any hunter’s dream. 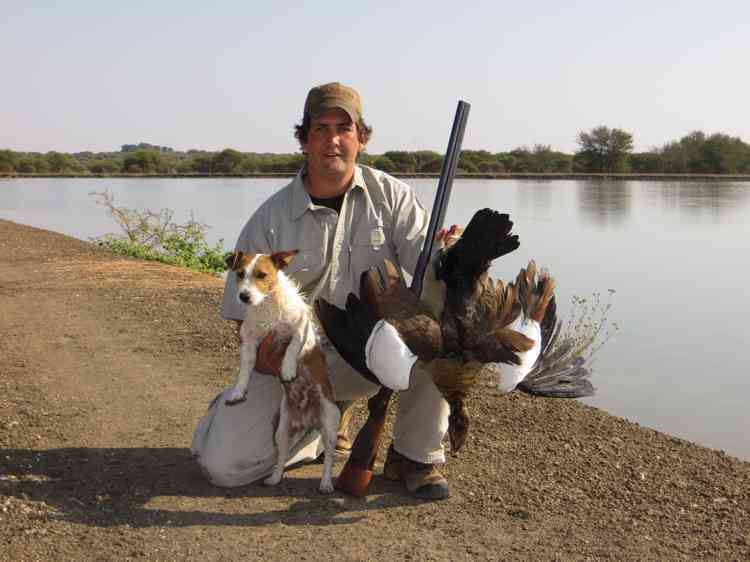 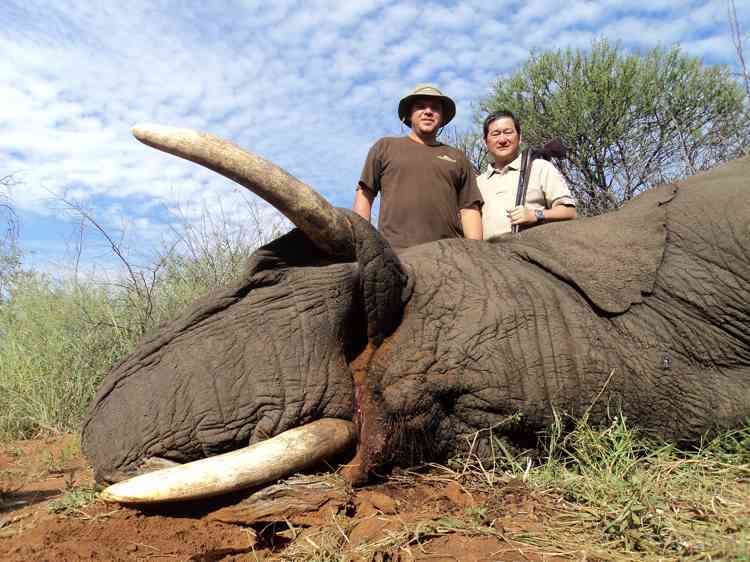 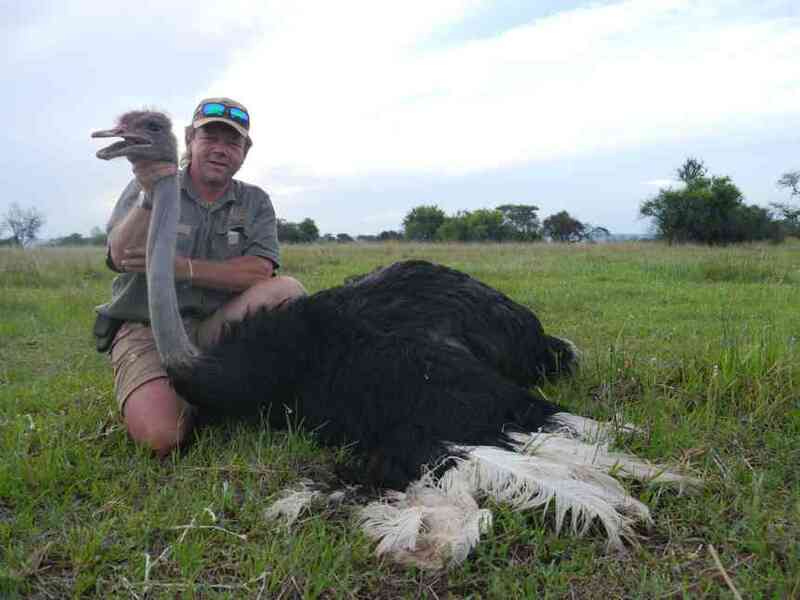 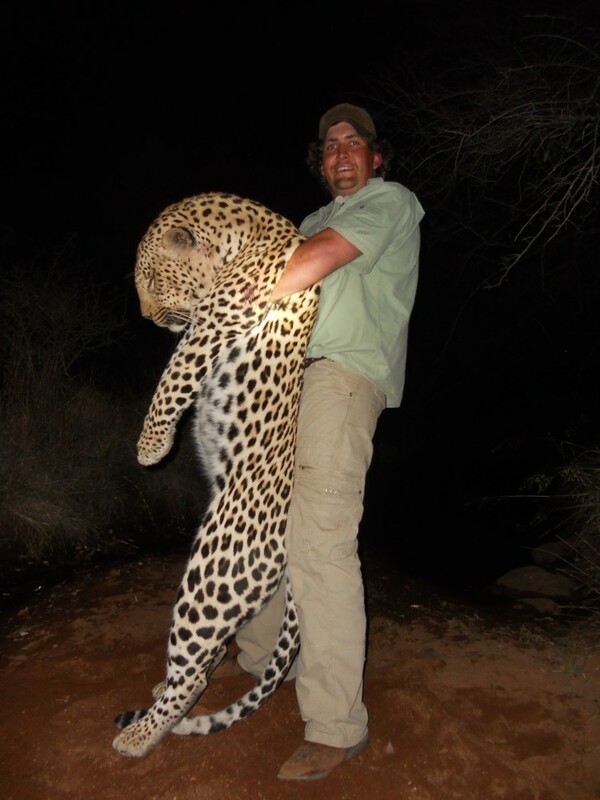 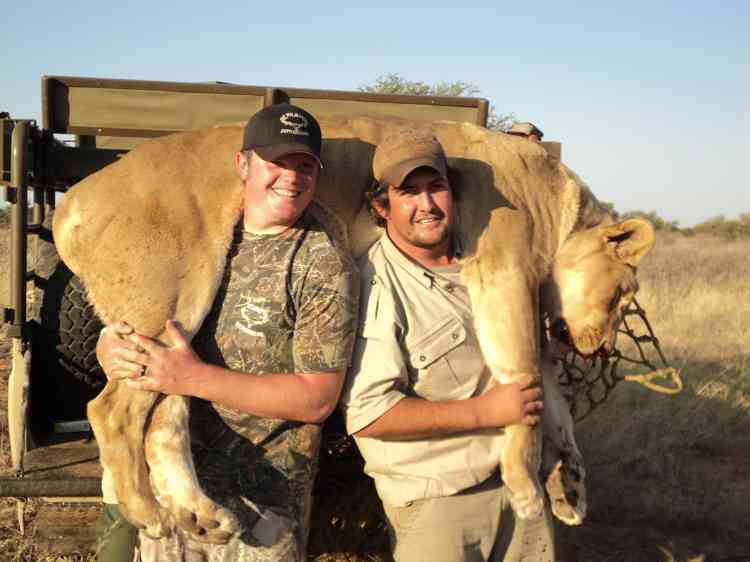 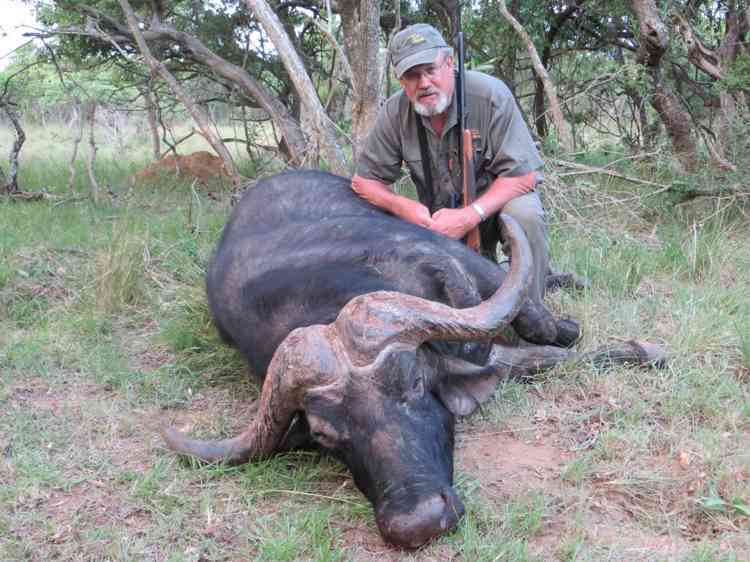 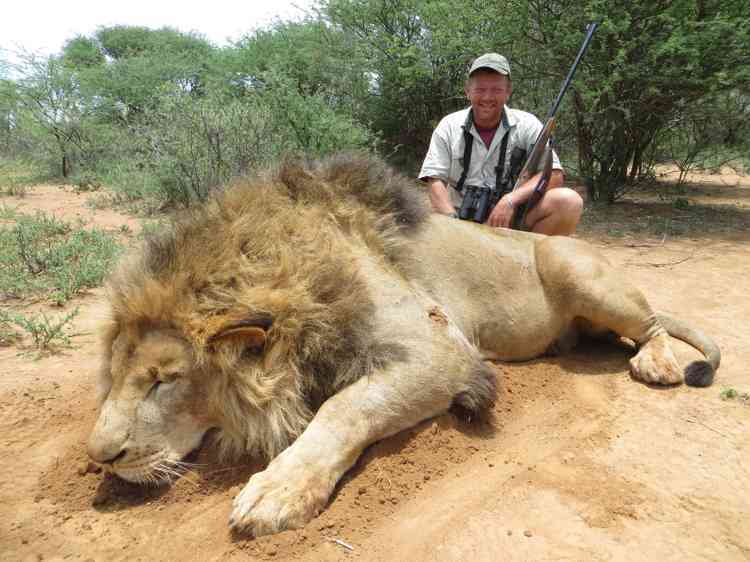 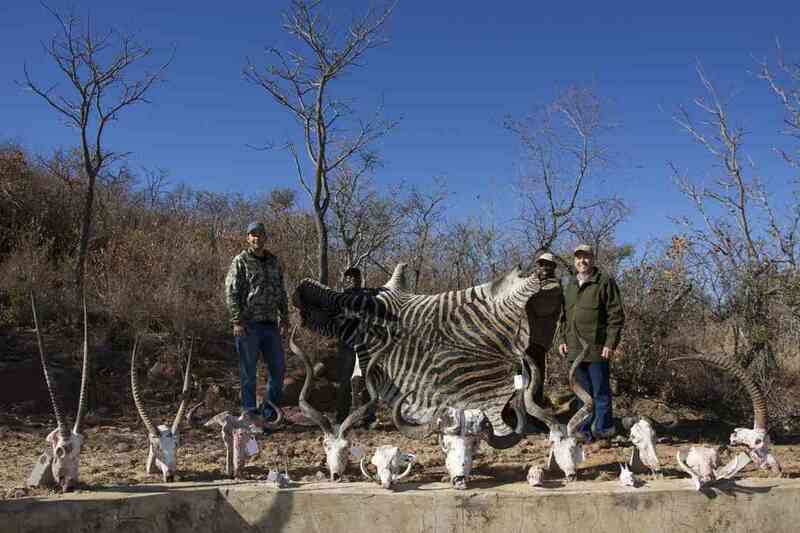 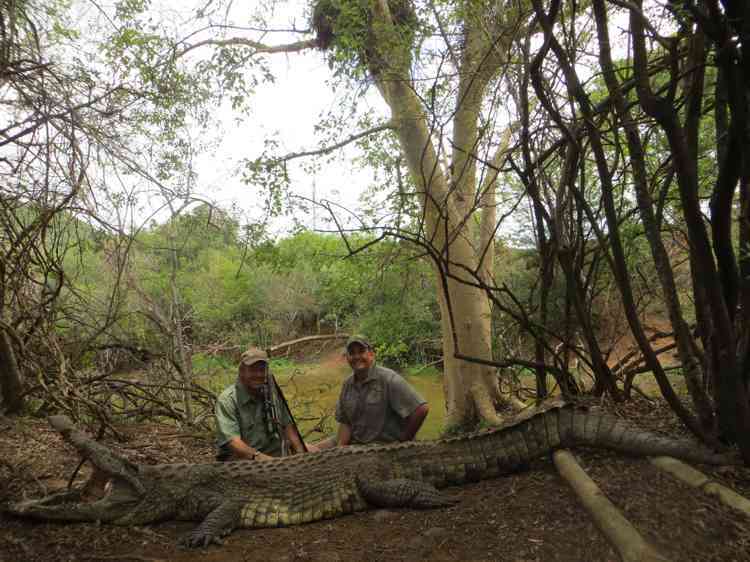 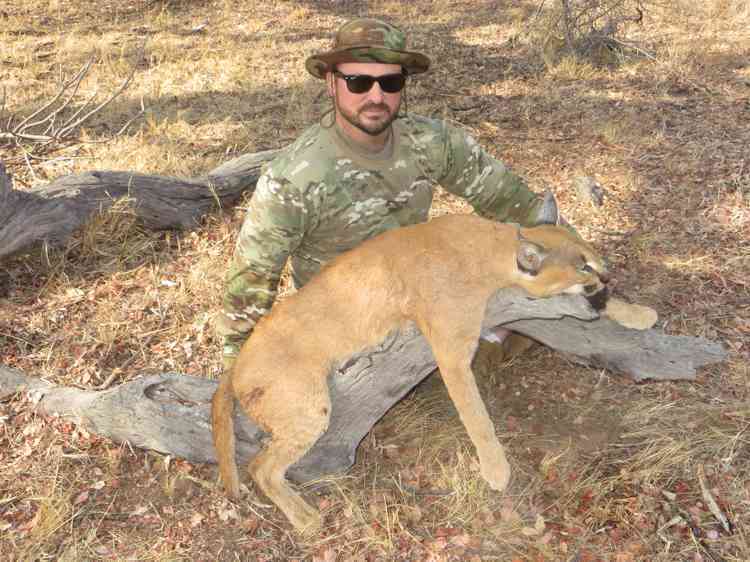 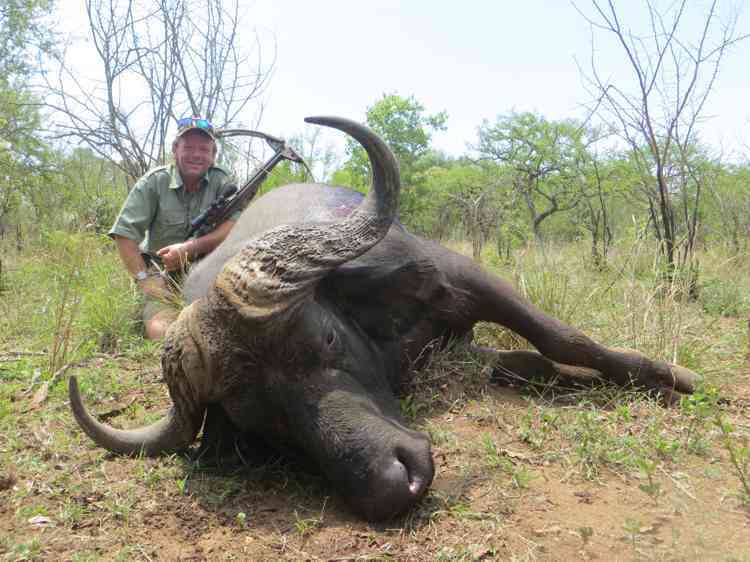 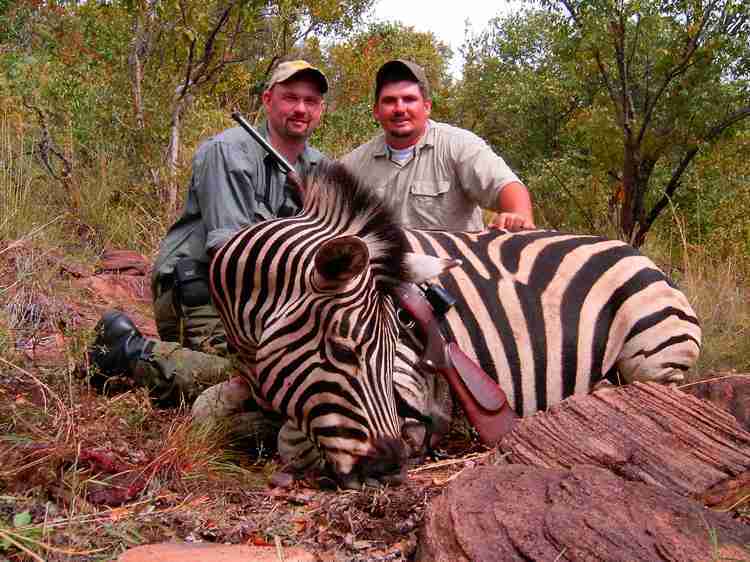 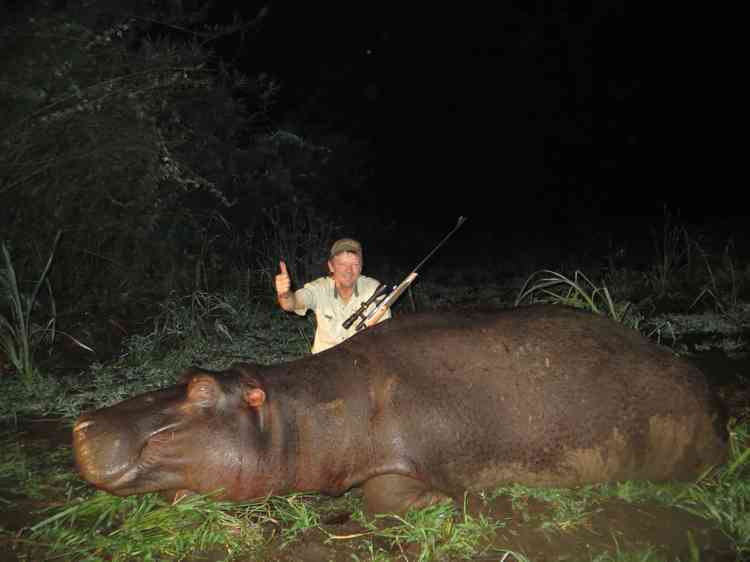 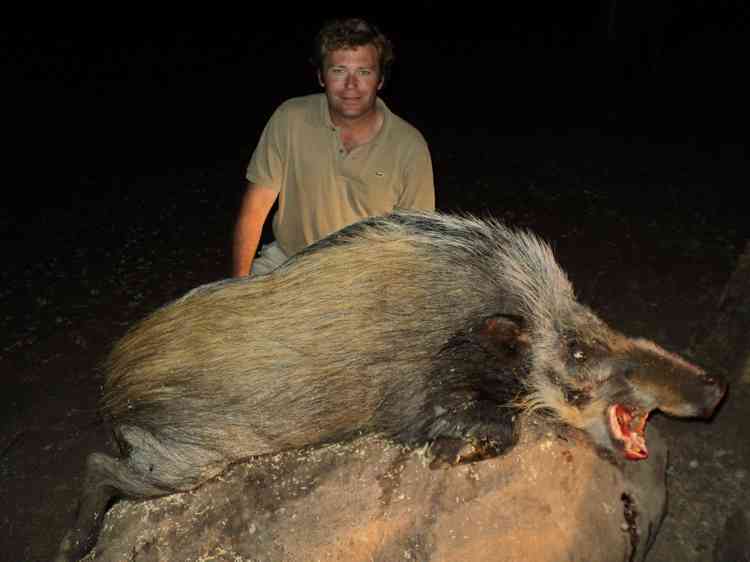 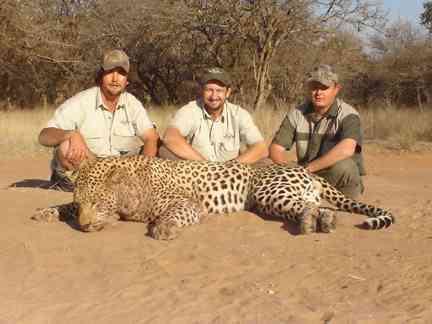 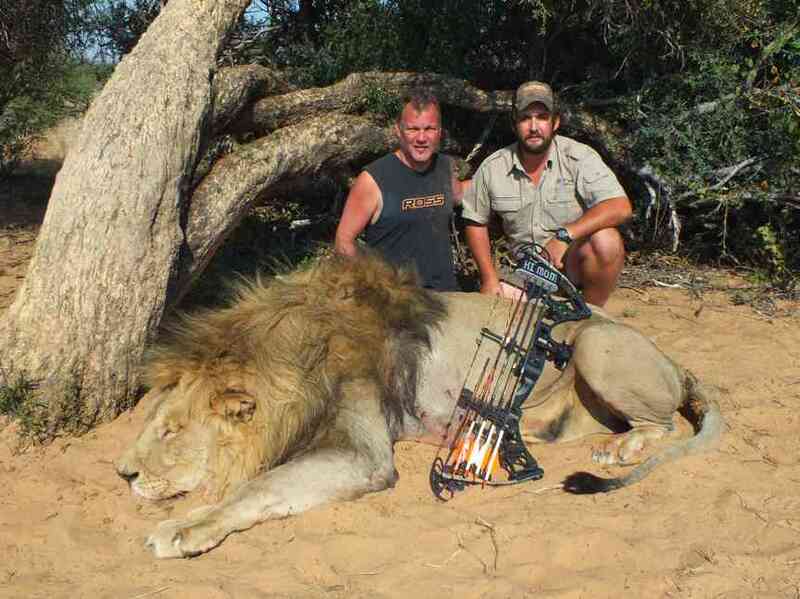 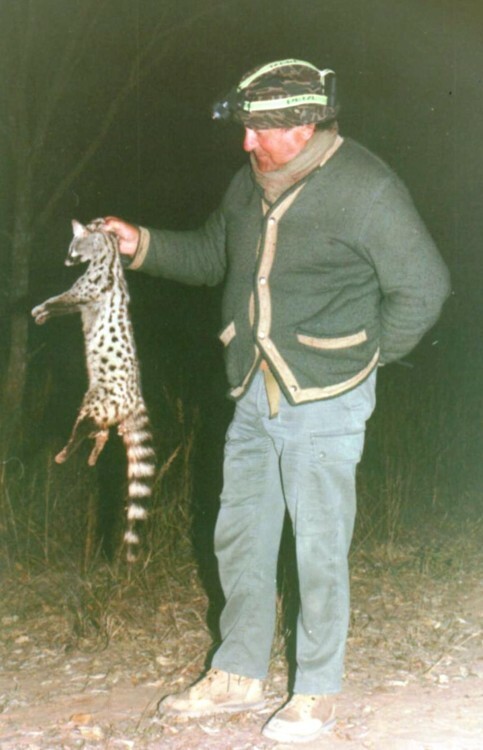 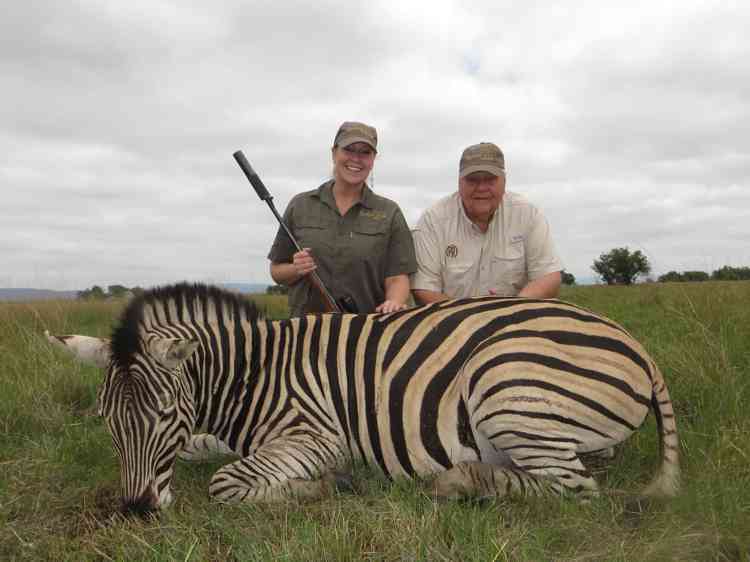 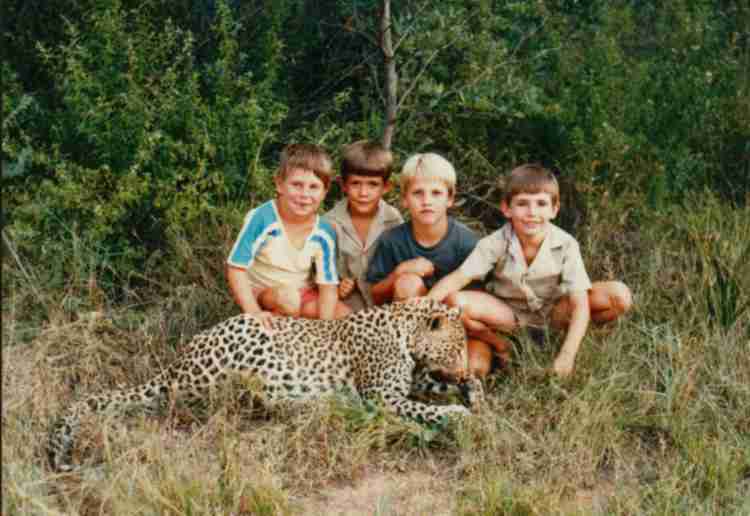 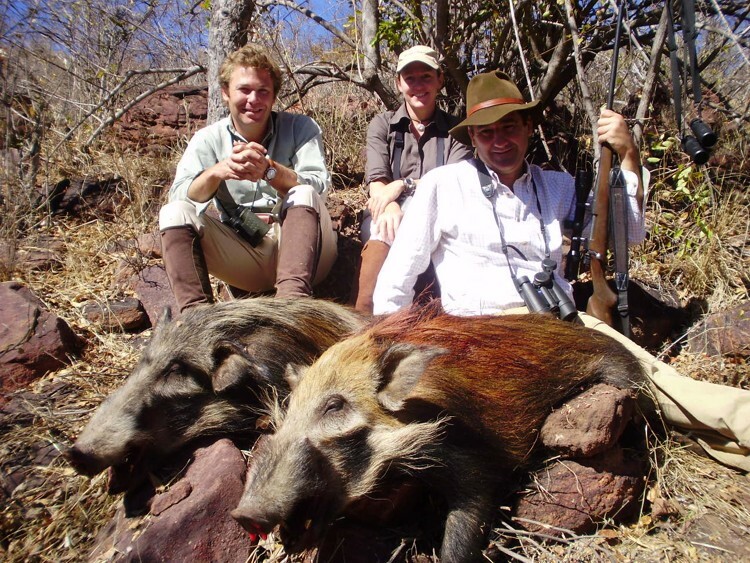 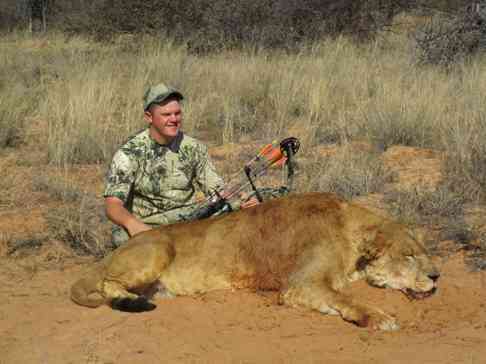 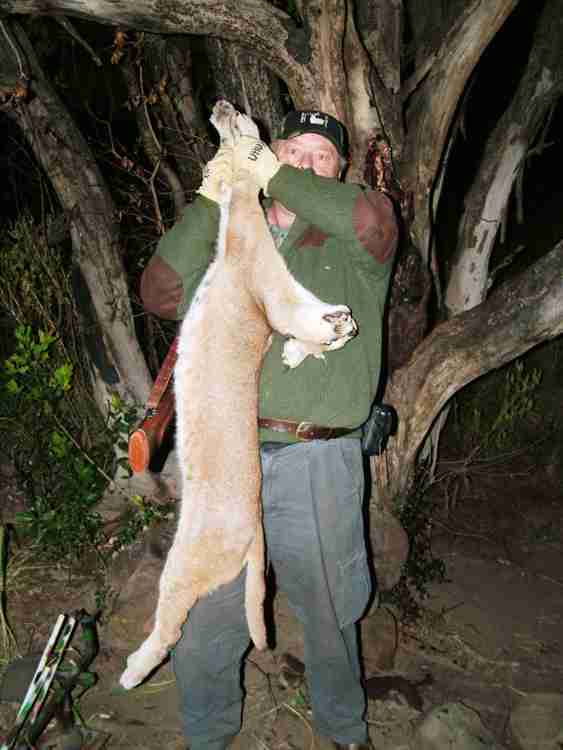 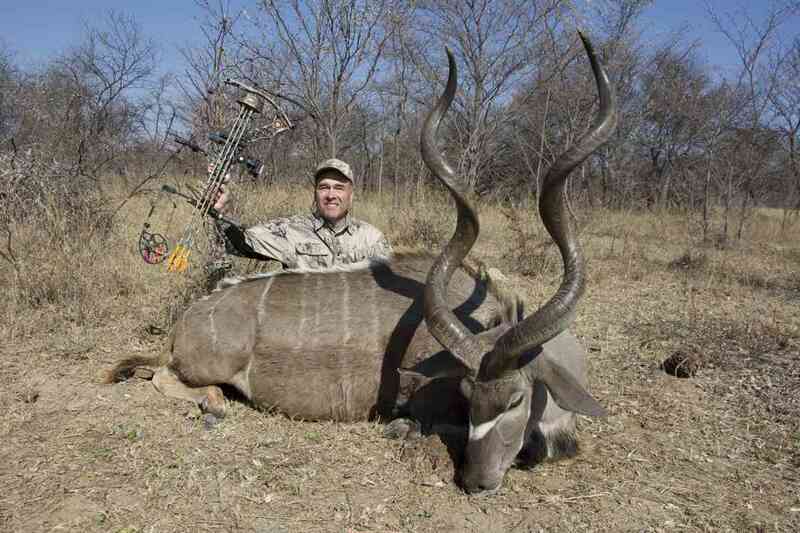 One of Southern Africa’s top trophies taken by Mike Benben from Racine, Wisconsin. 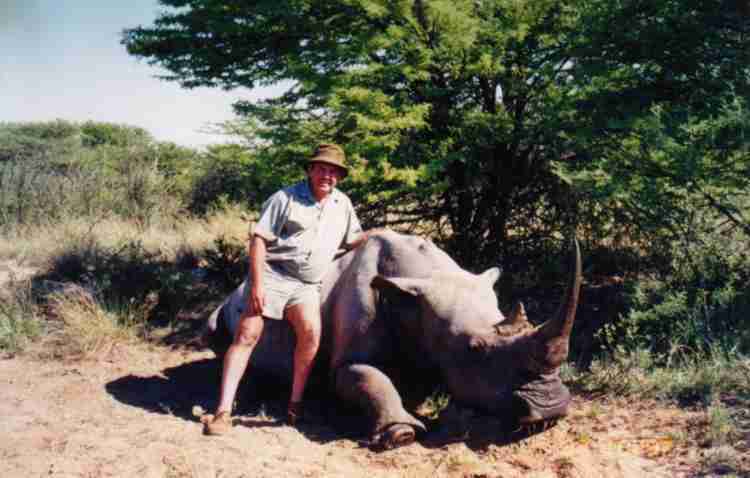 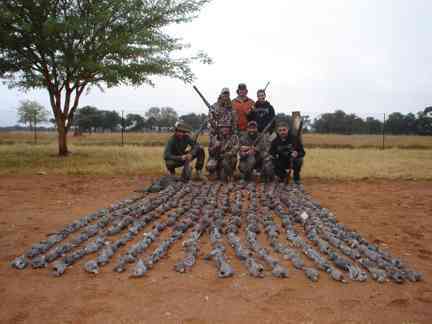 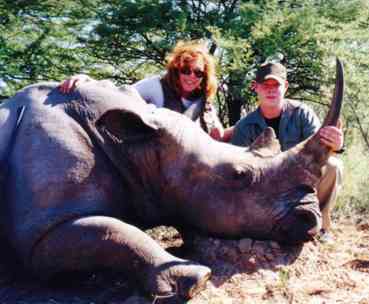 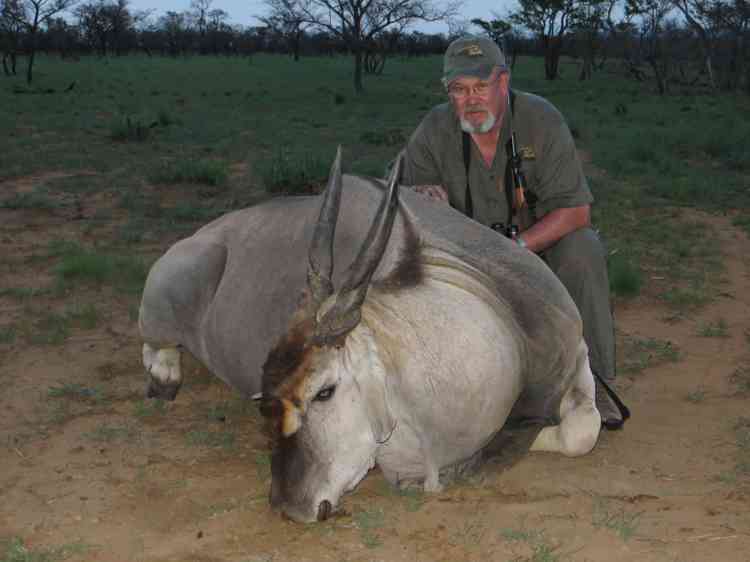 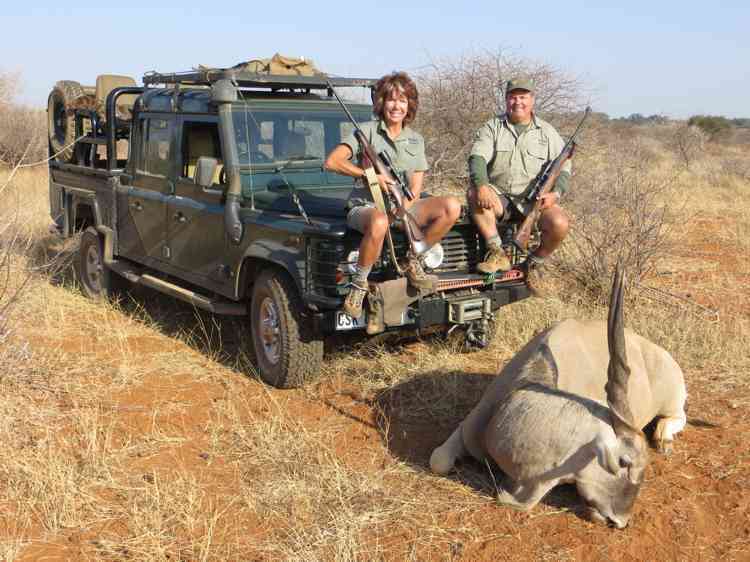 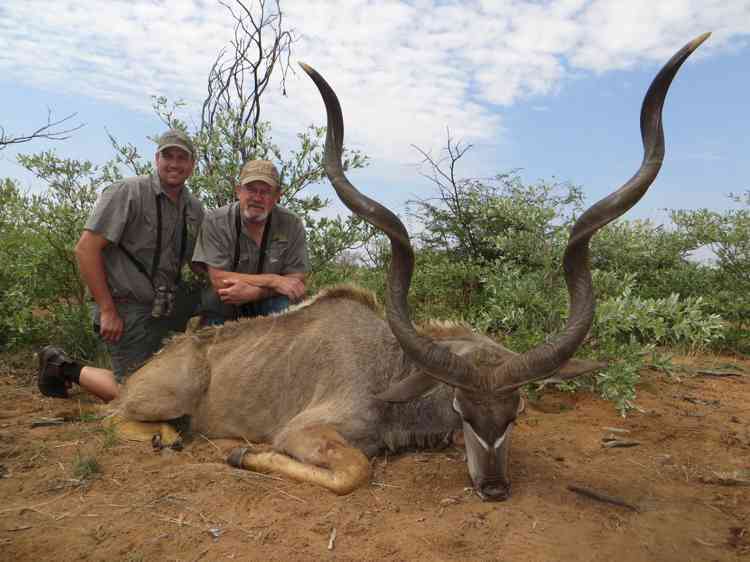 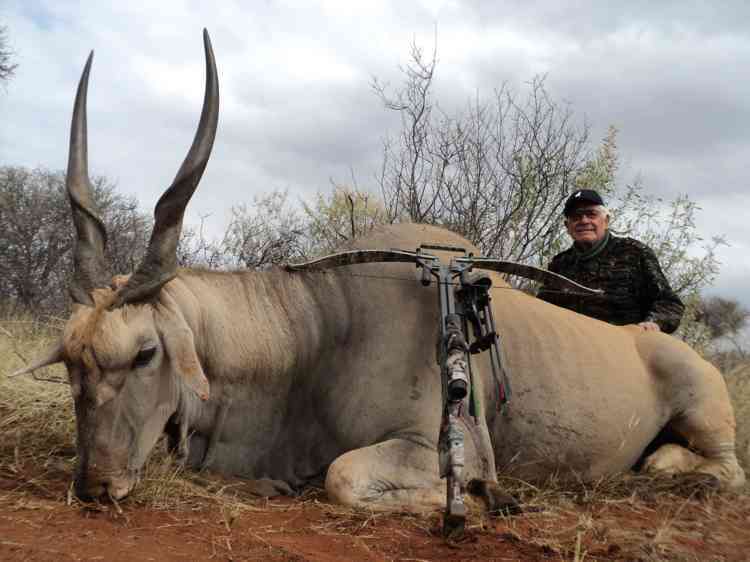 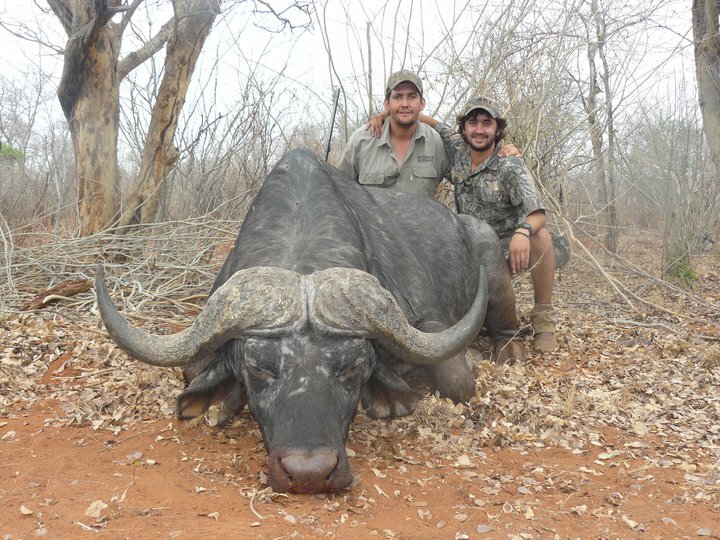 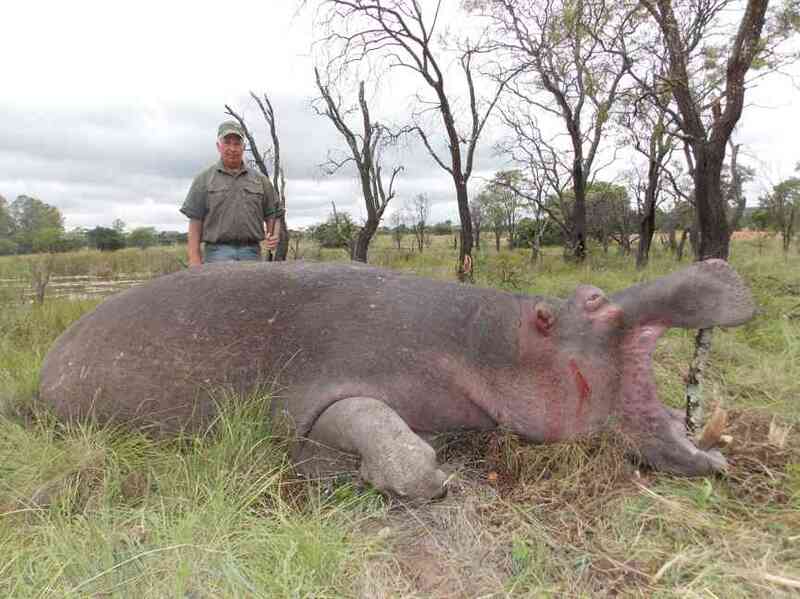 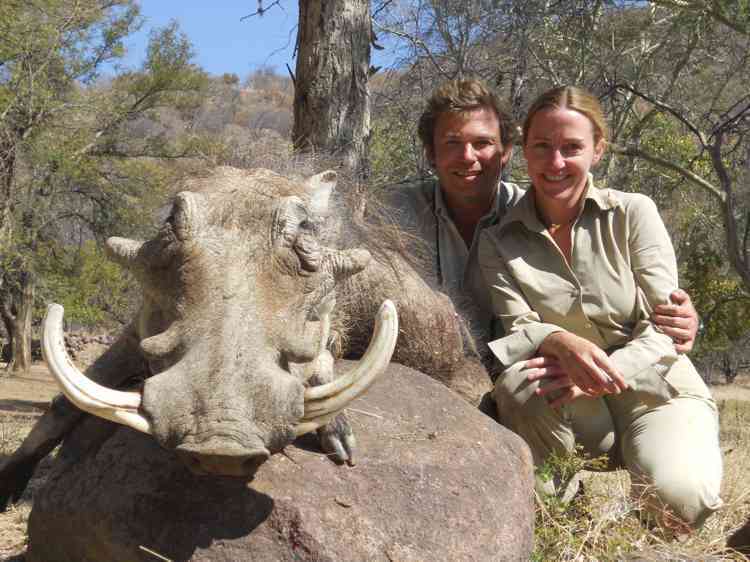 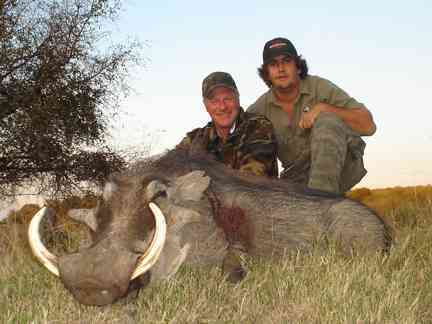 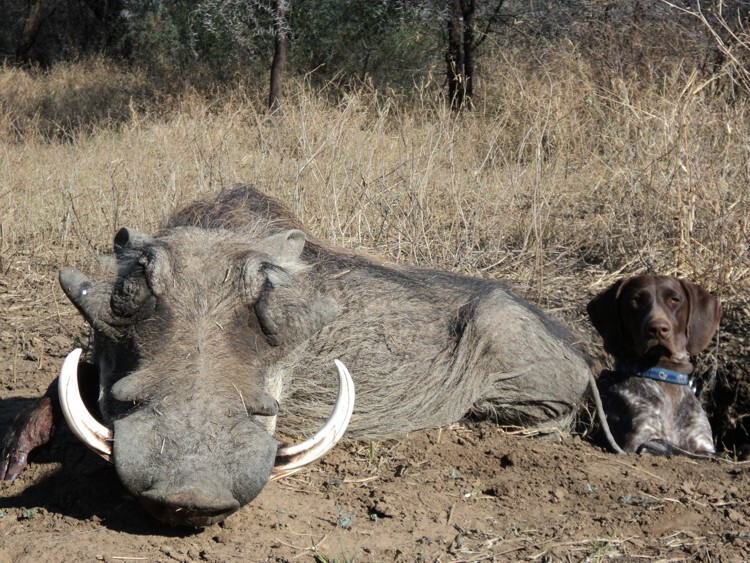 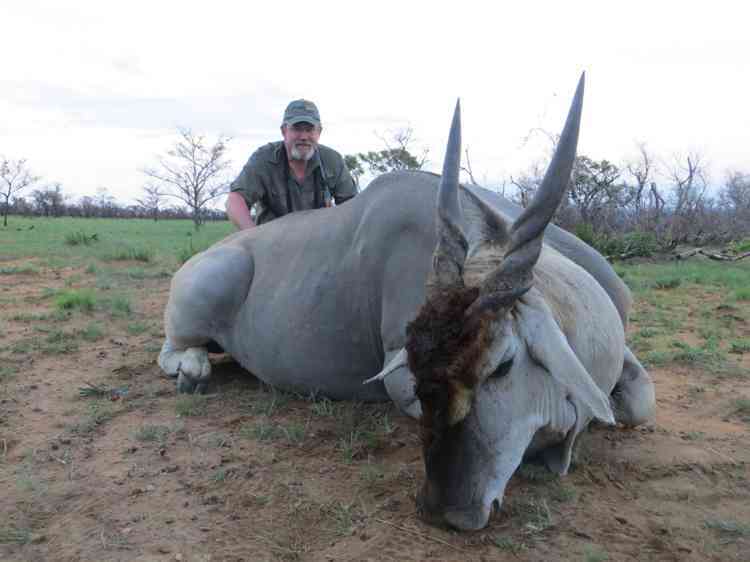 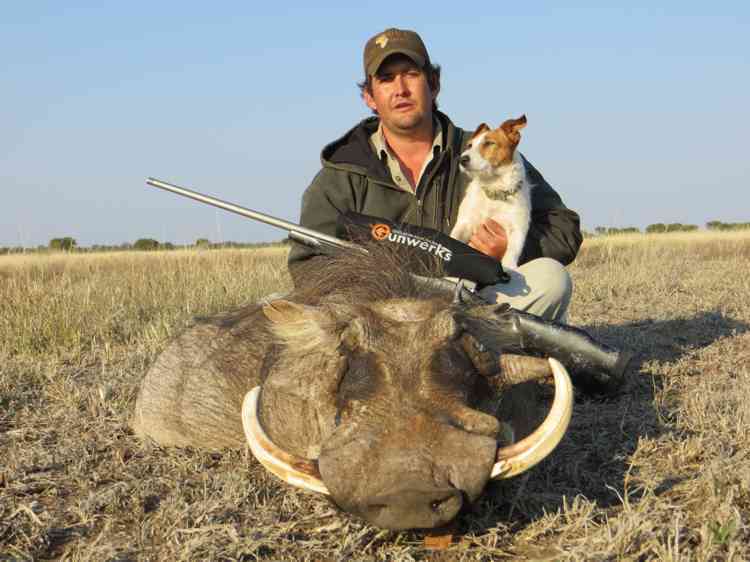 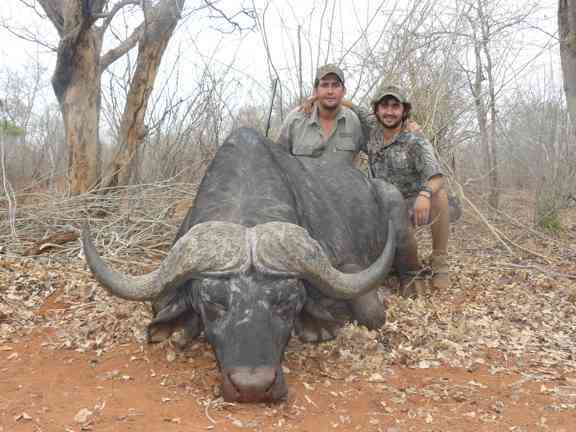 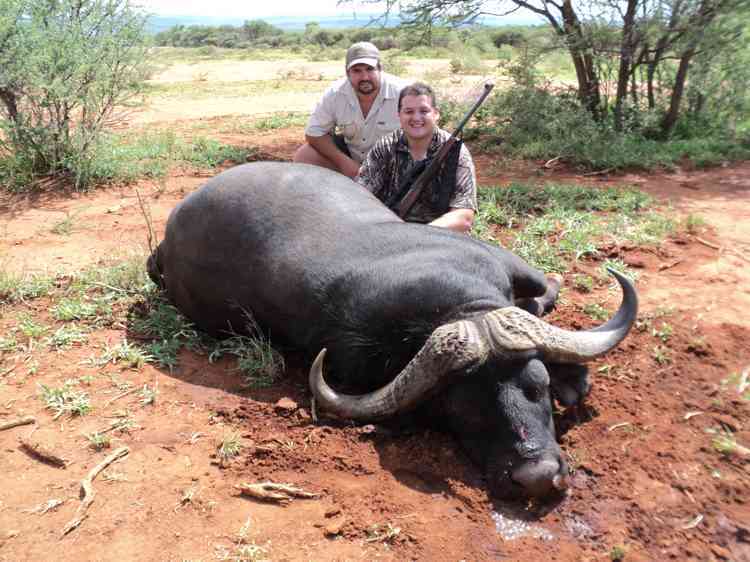 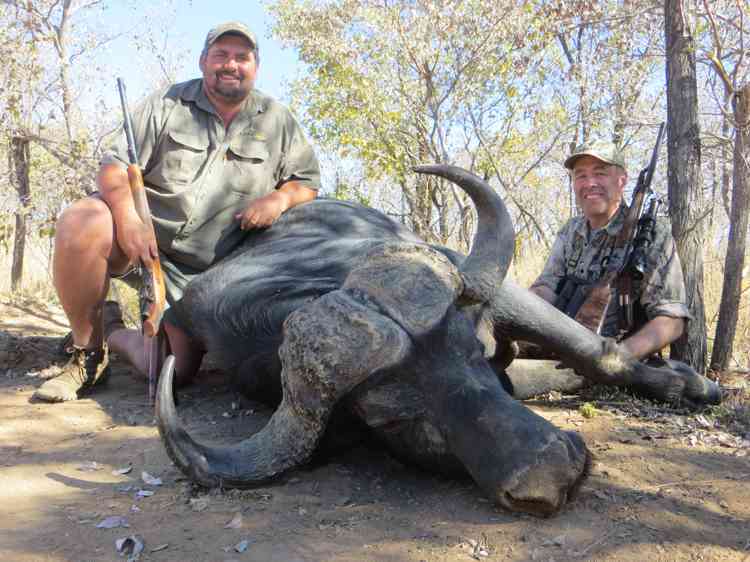 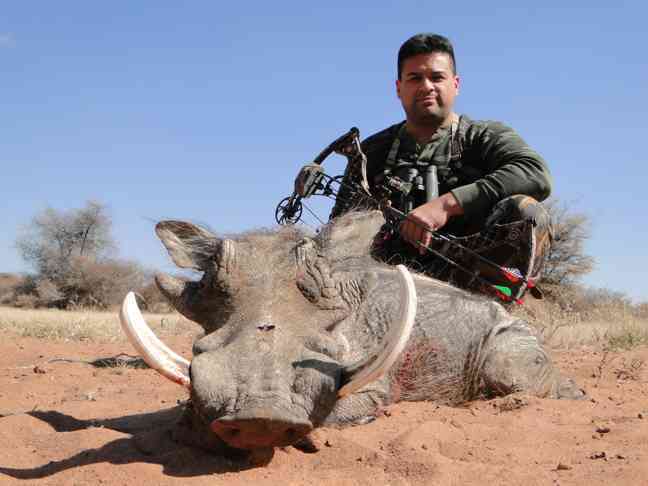 Bosveld with a 28” White Rhino taken by Isabella Daniel from Germany. 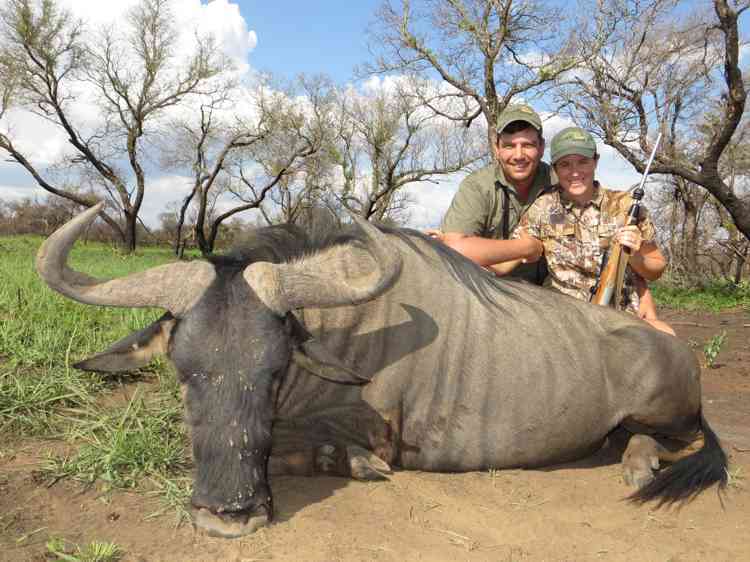 Isabella Daniel with yet another trophy. 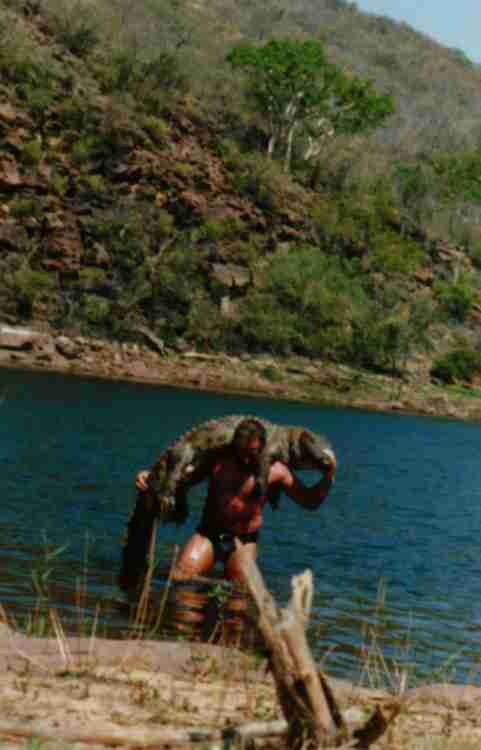 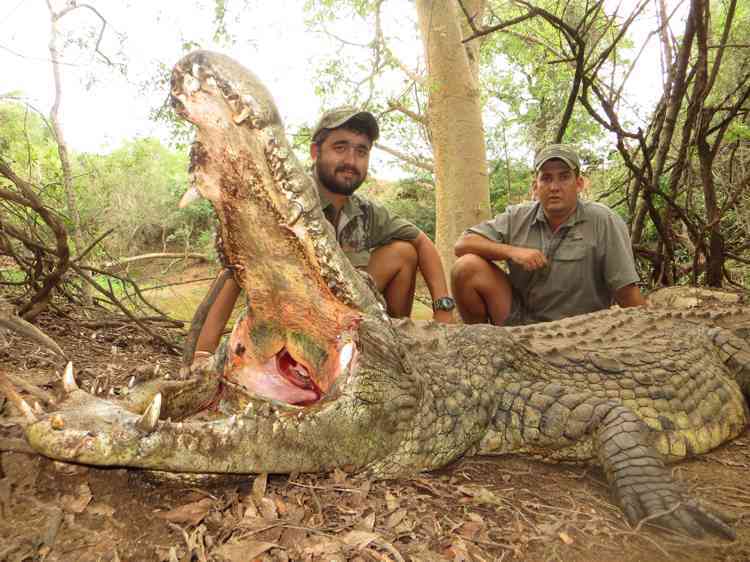 Norbert Bartell retrieves his trophy from croc infested waters. 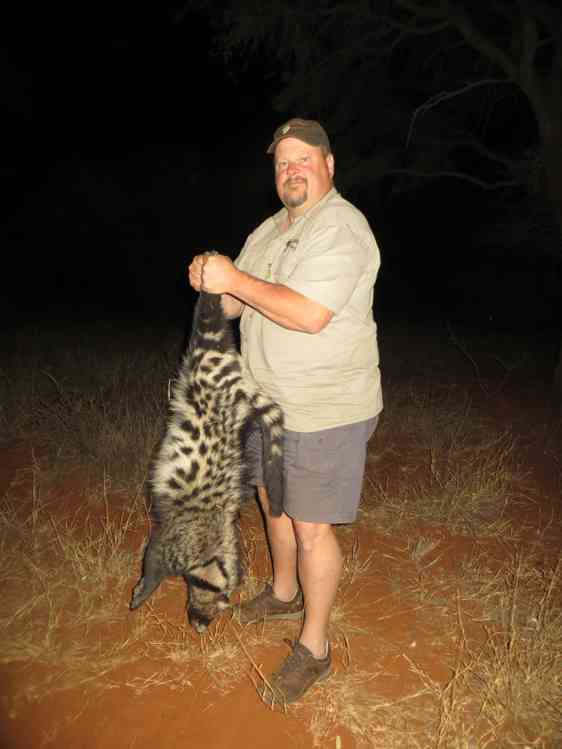 Another nocturnal species. 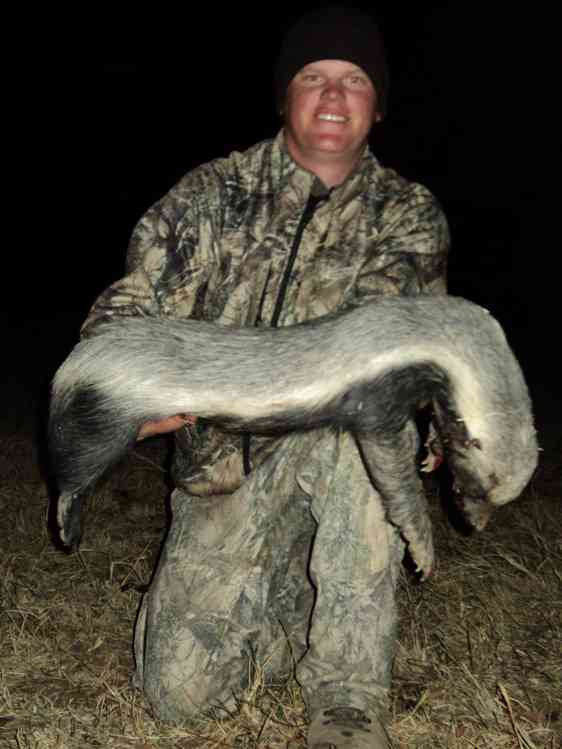 We often stumble on one in daylight. 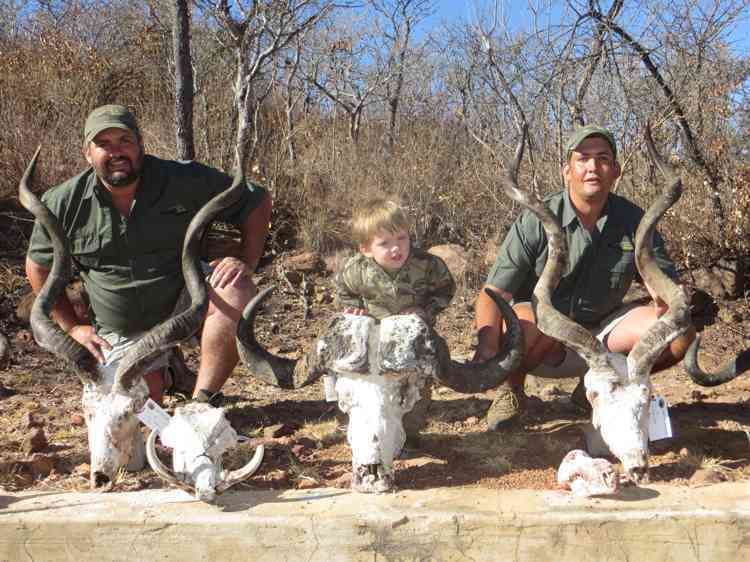 These ghosts of darkness were taken in broad daylight. 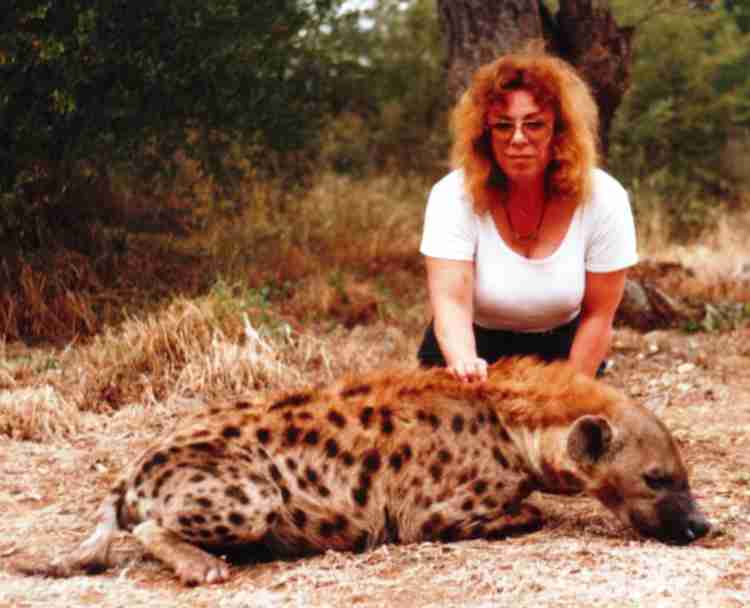 Spanish lady with her elusive Brown Hyena. 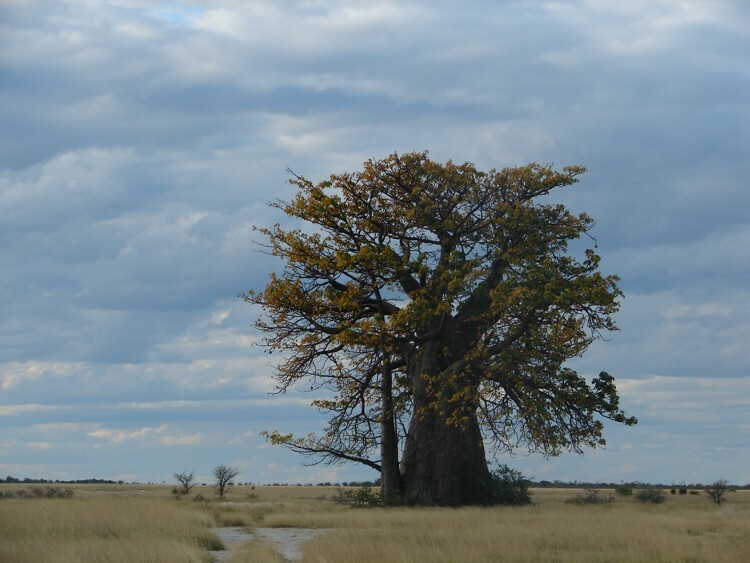 The giant baobab tree of Africa never seizes to be breathtakingly majestic. 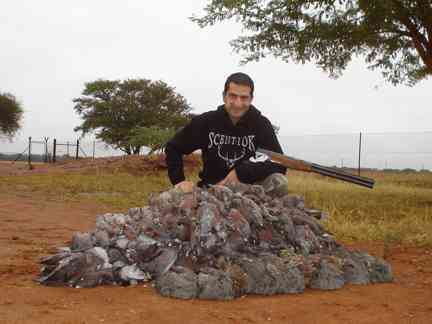 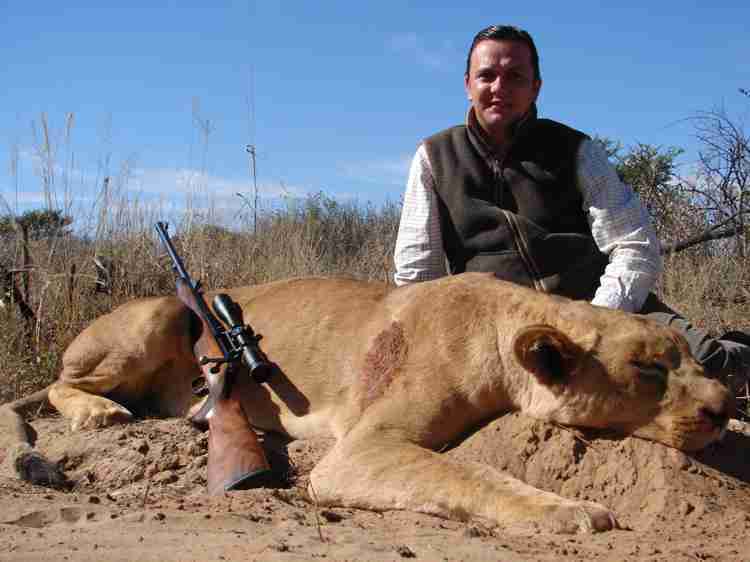 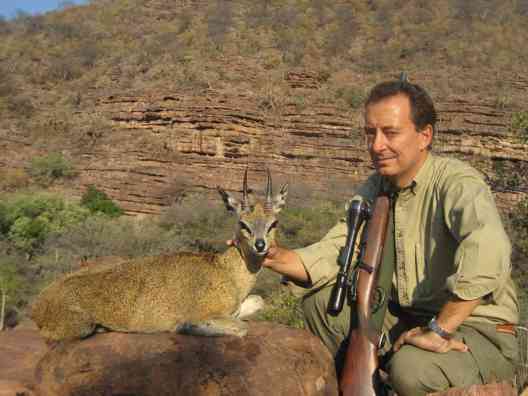 Spanish hunter. 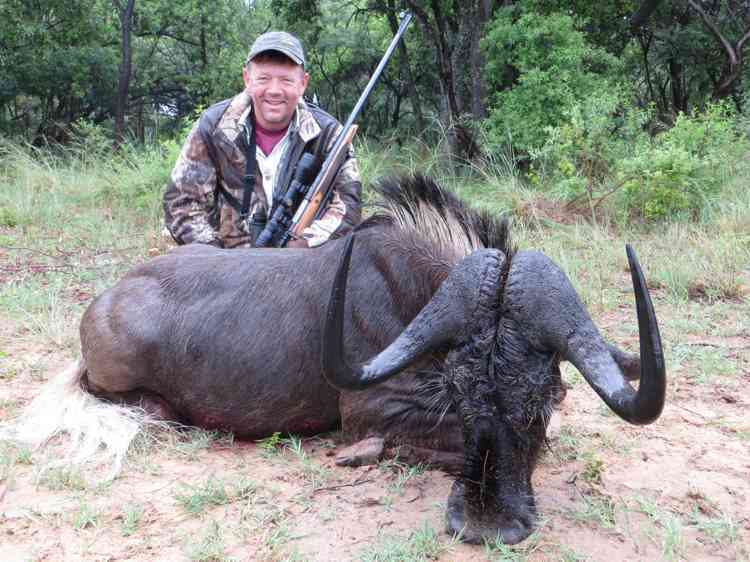 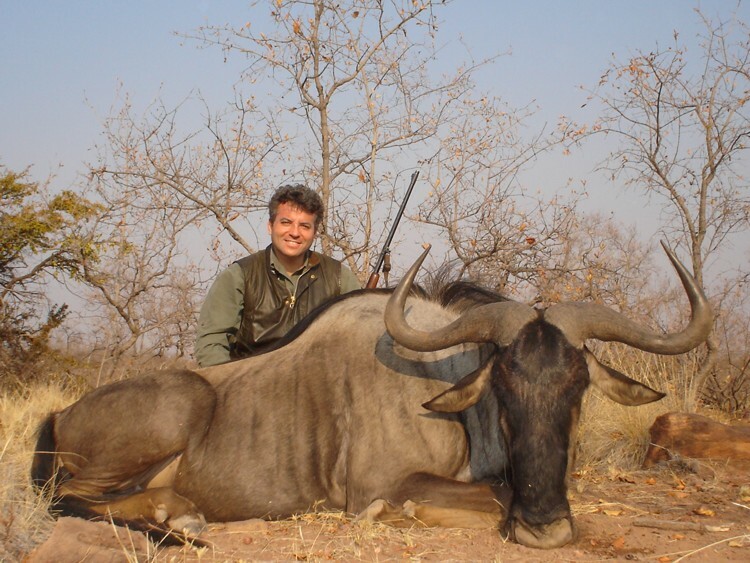 Blue Wildebeest grow trophy size in the Water Berg. 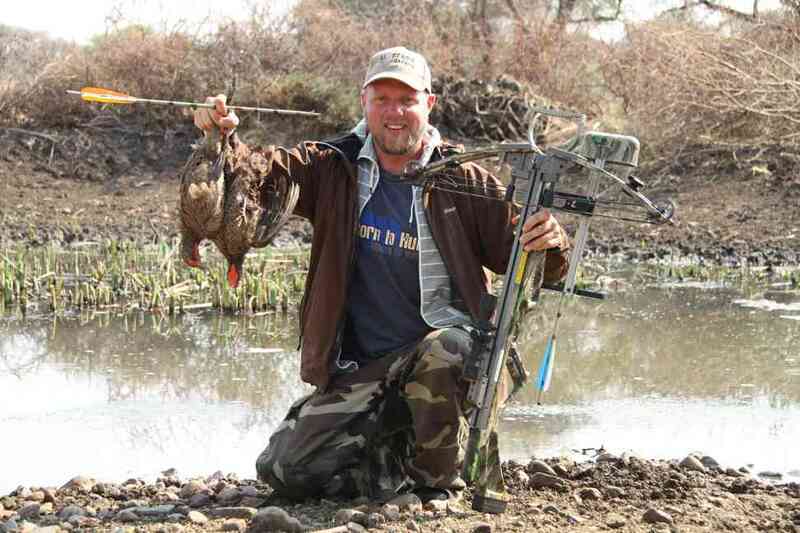 Another perfect end to a perfect hunt. 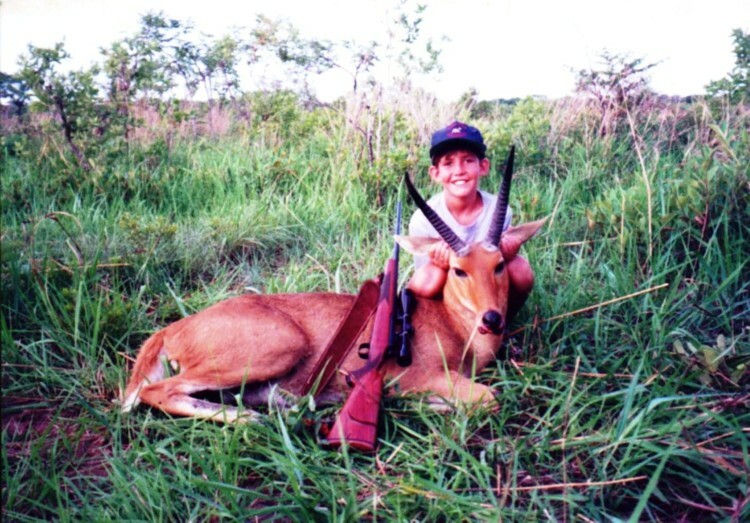 Success at last. 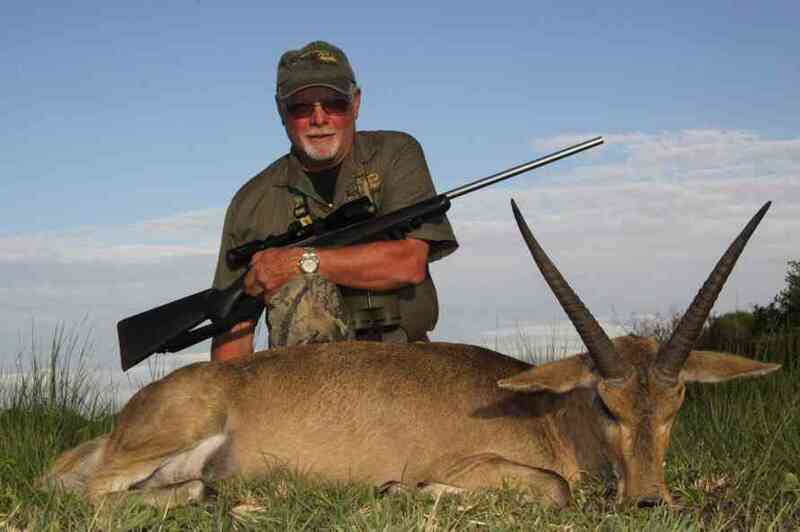 One of the more difficult spiral horned antelopes to hunt. 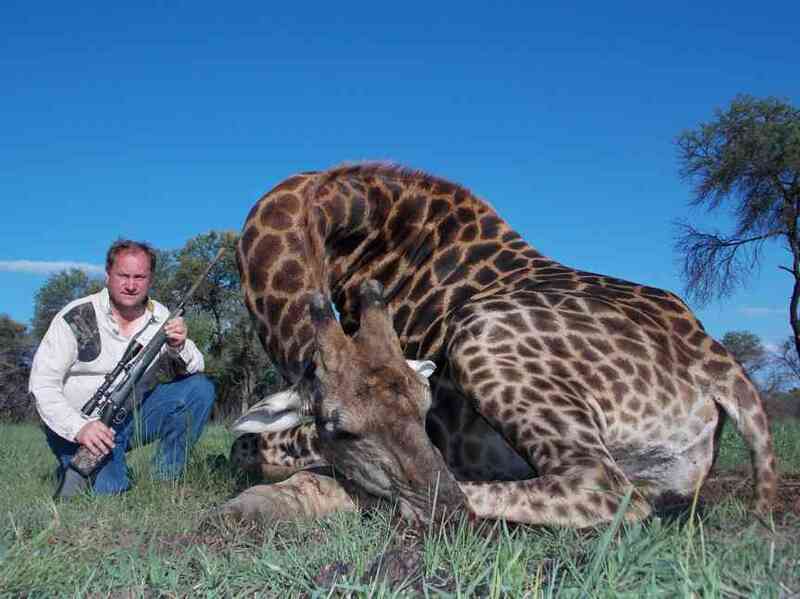 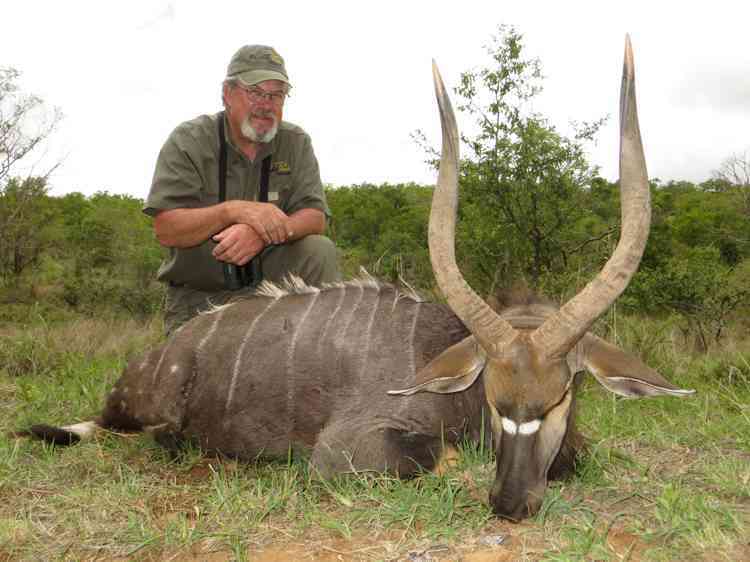 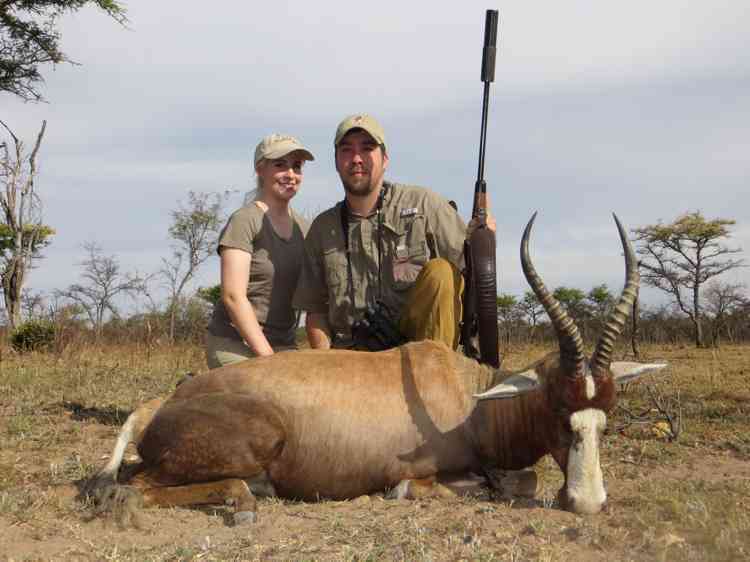 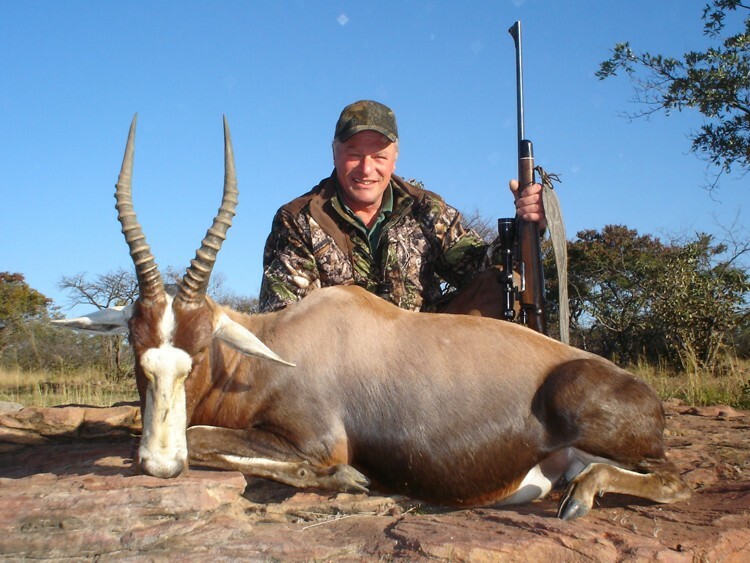 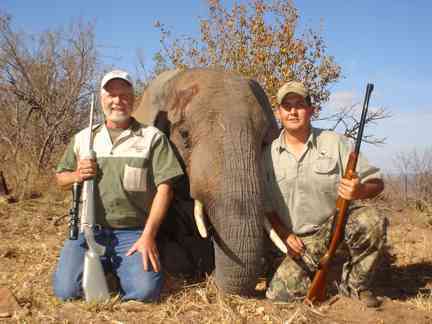 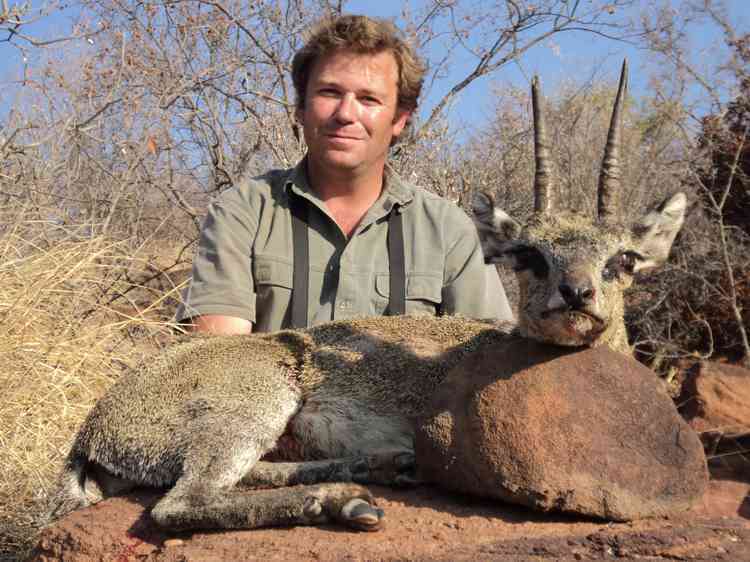 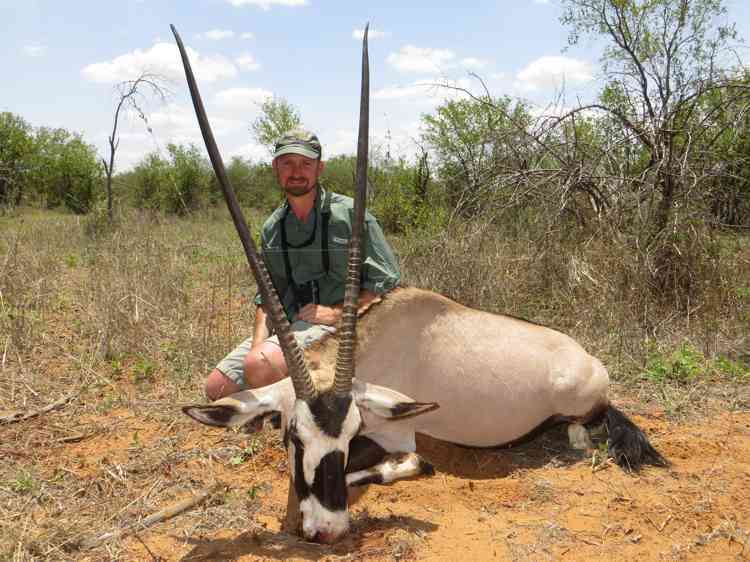 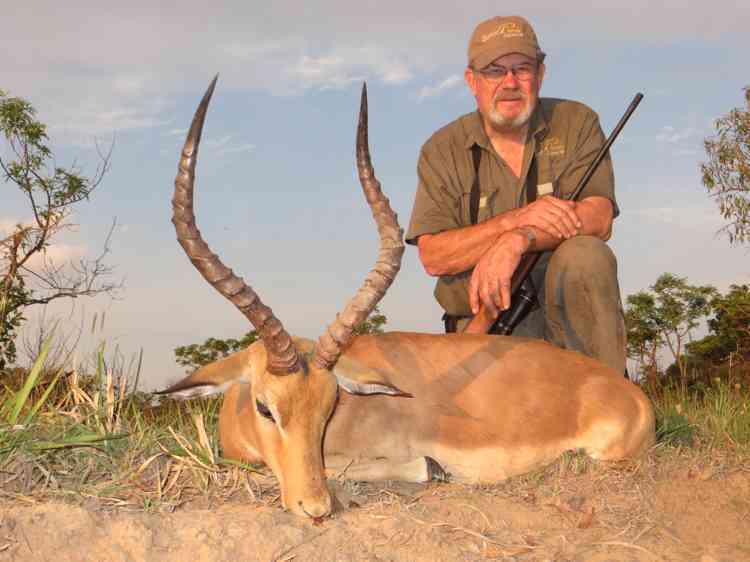 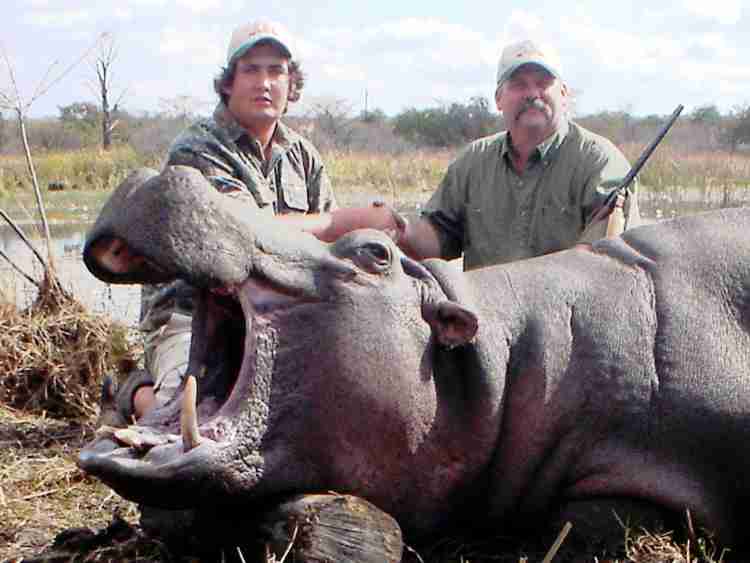 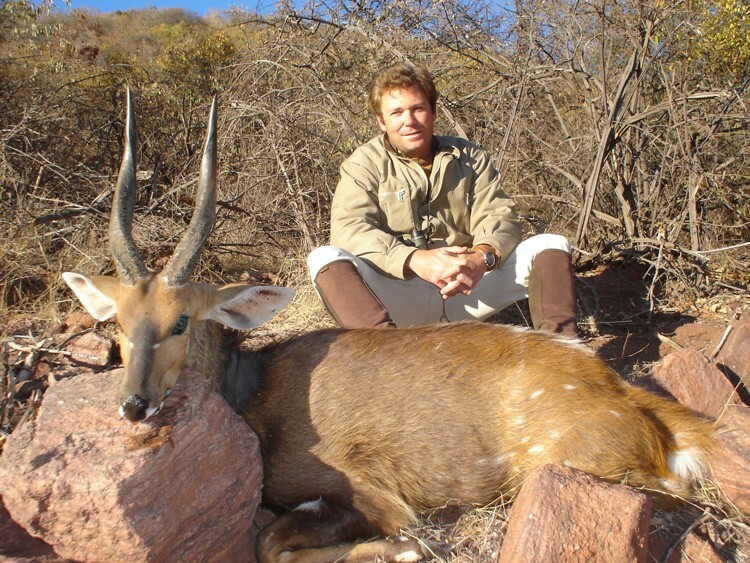 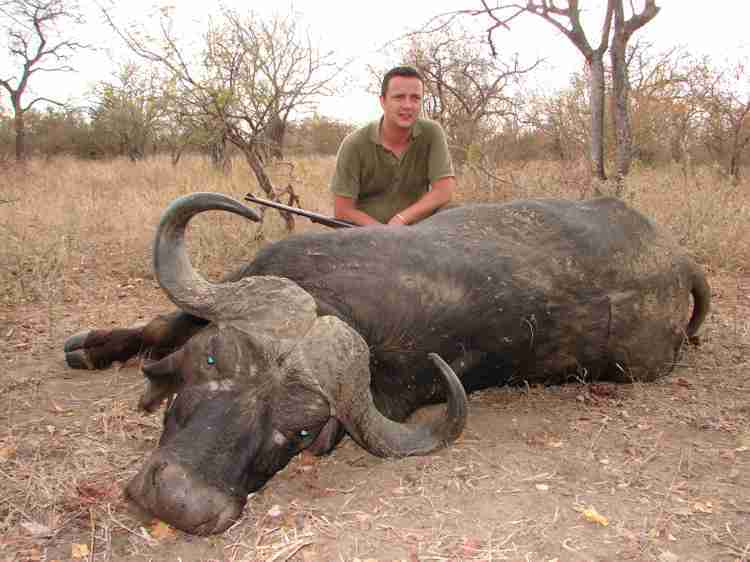 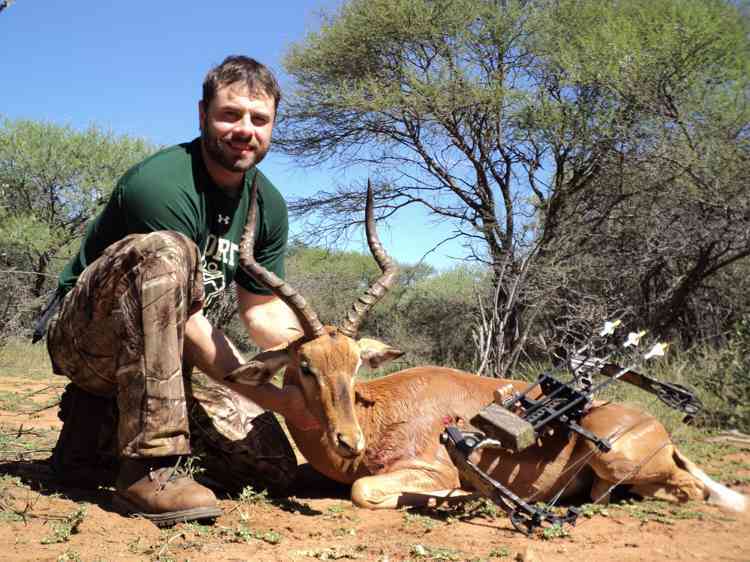 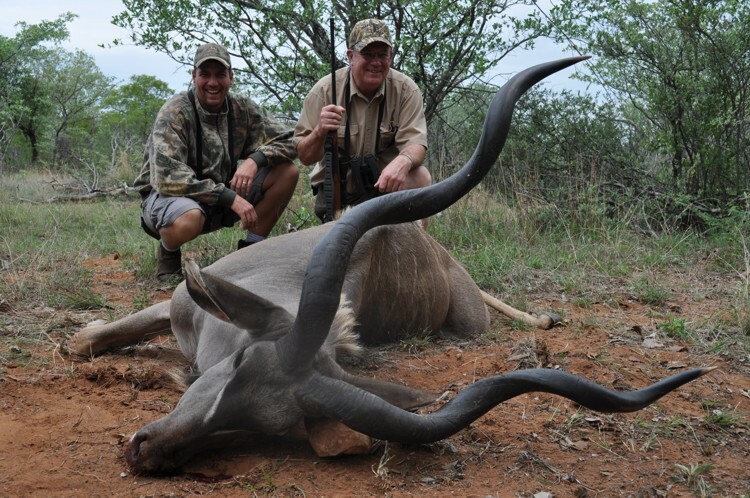 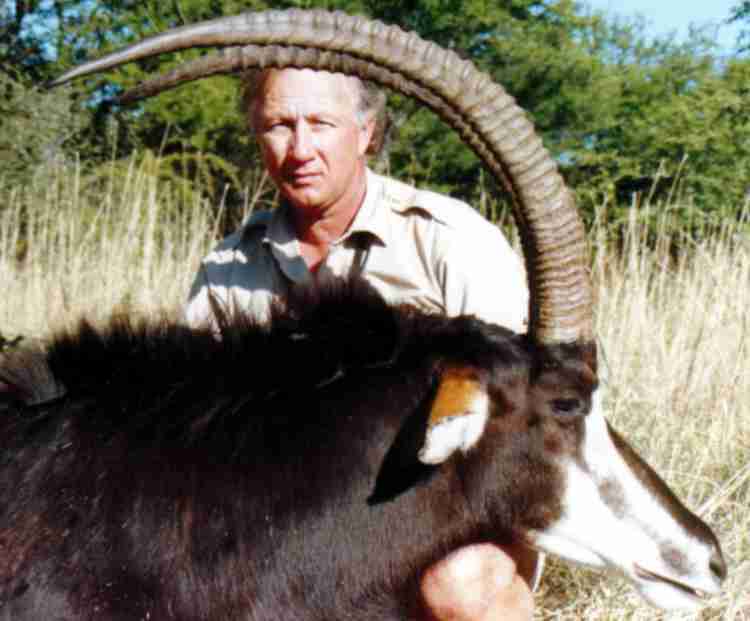 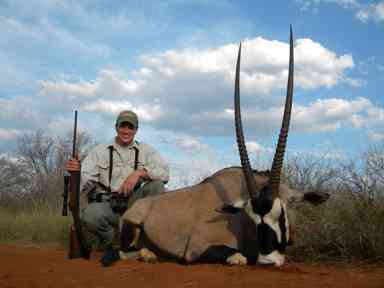 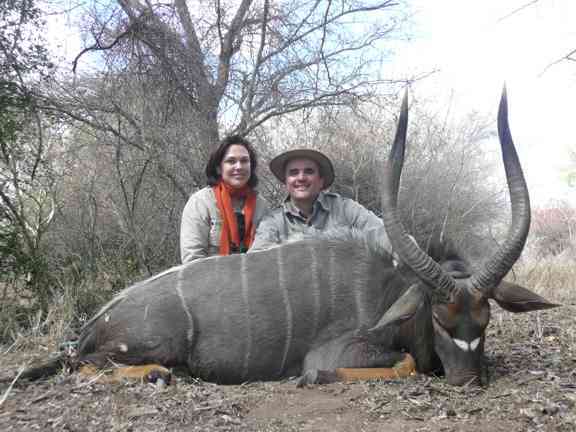 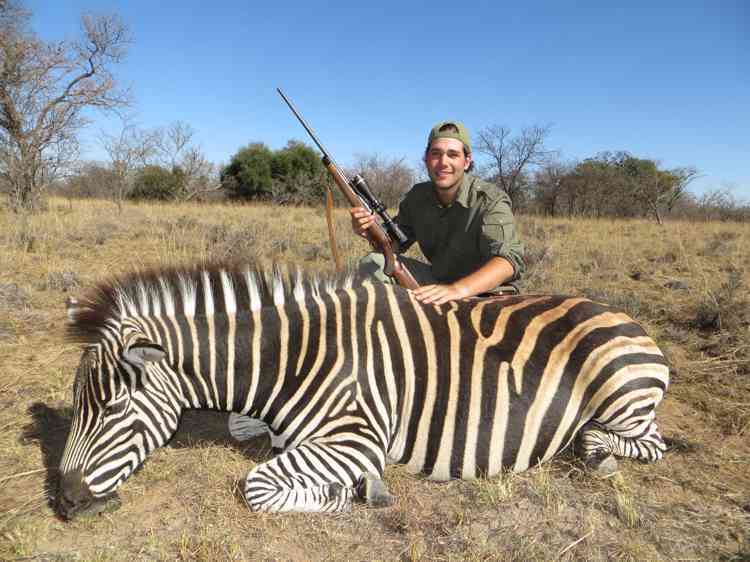 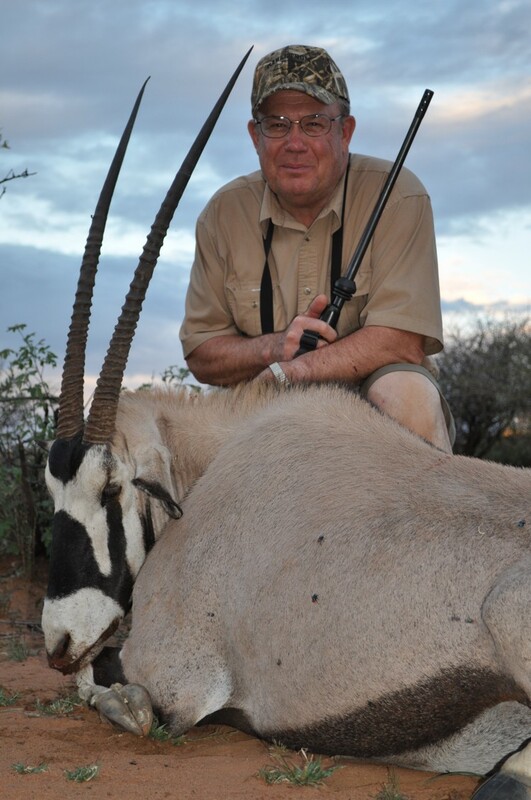 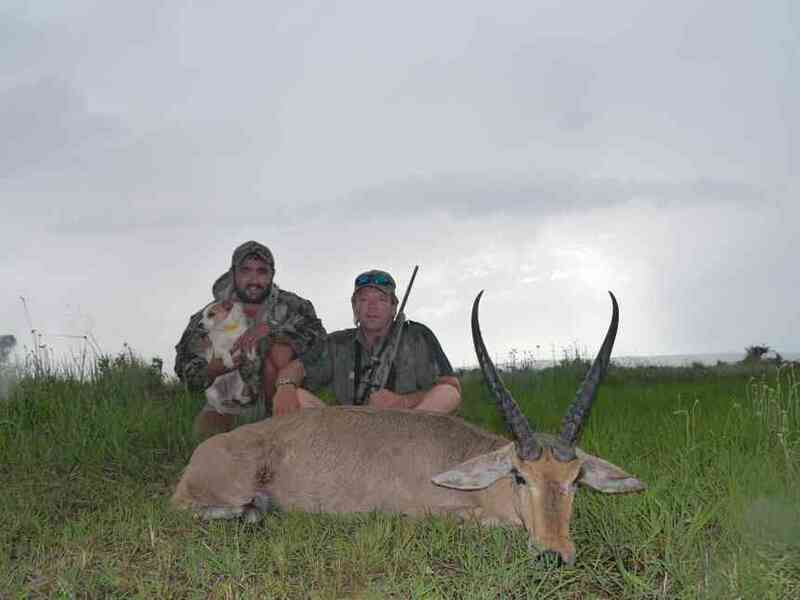 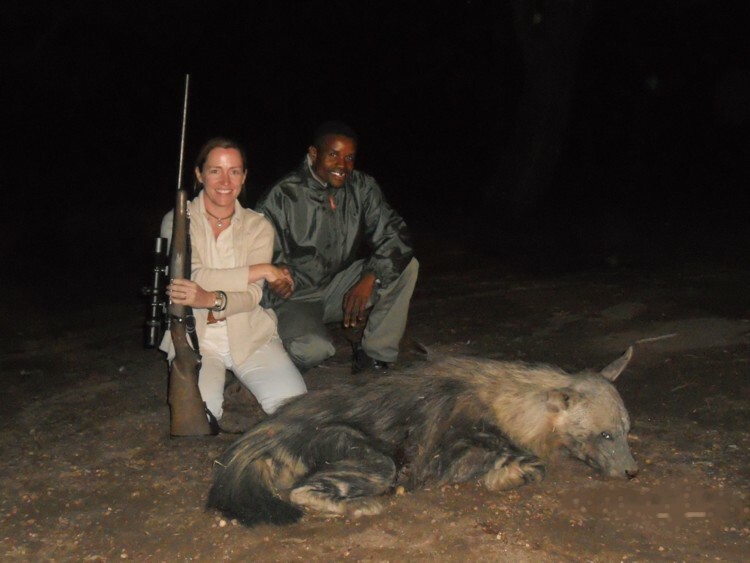 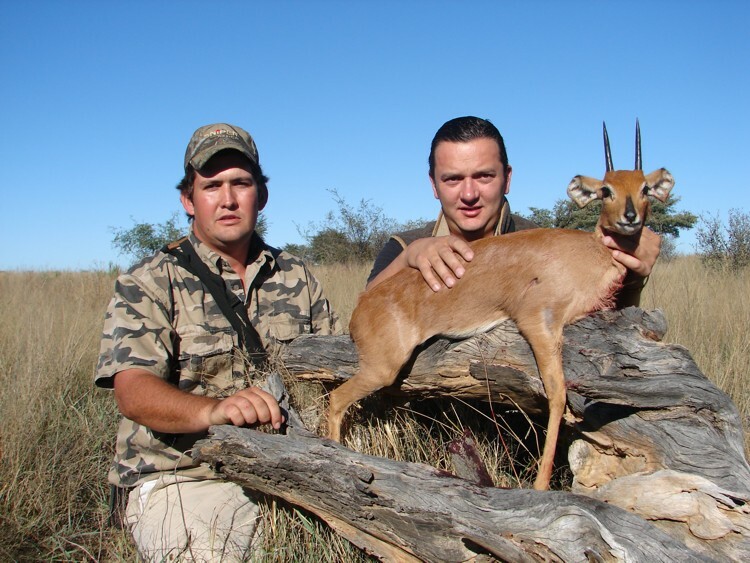 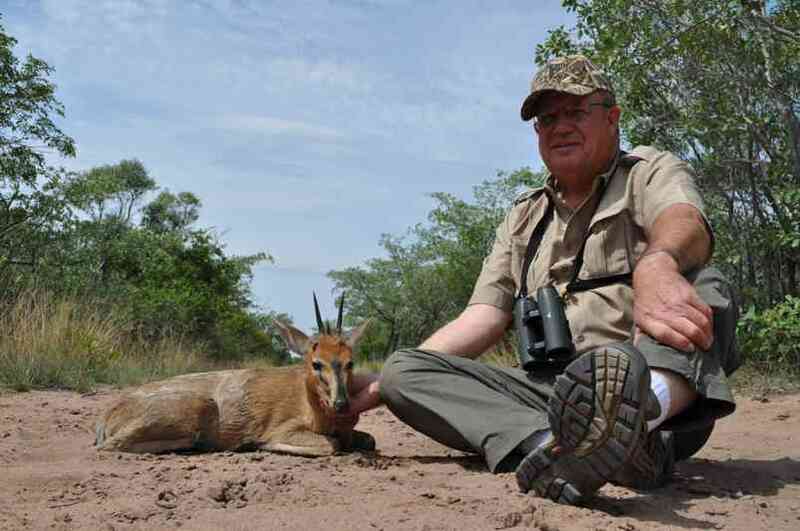 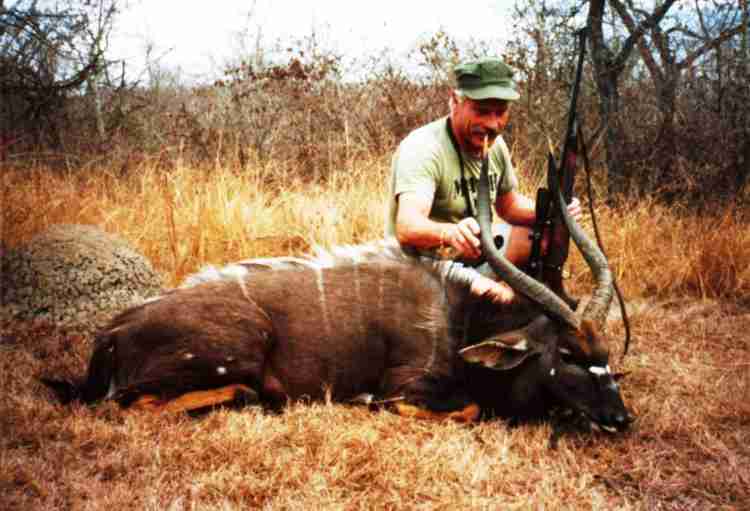 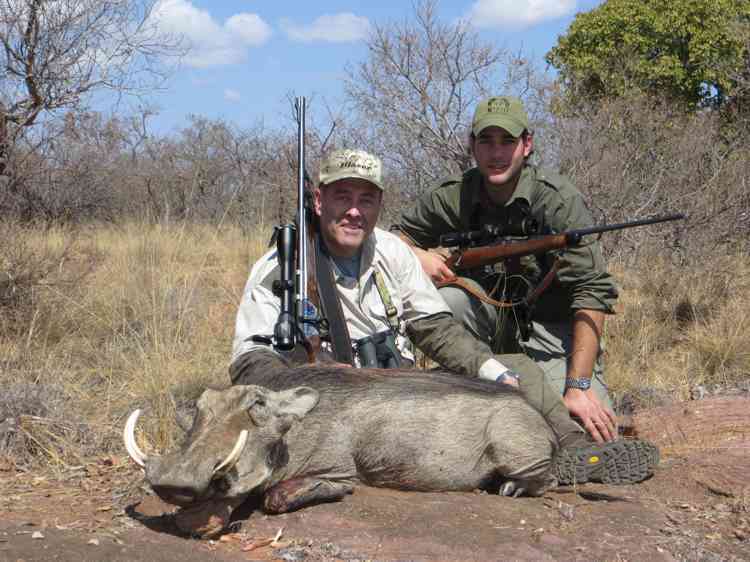 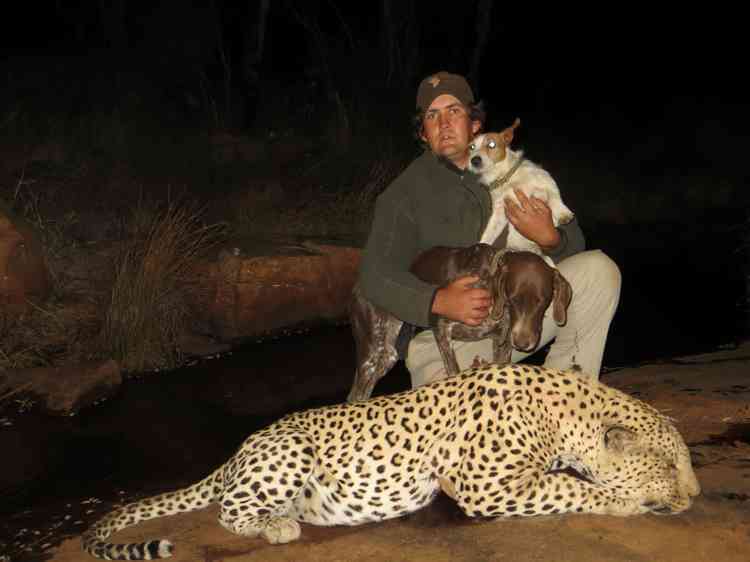 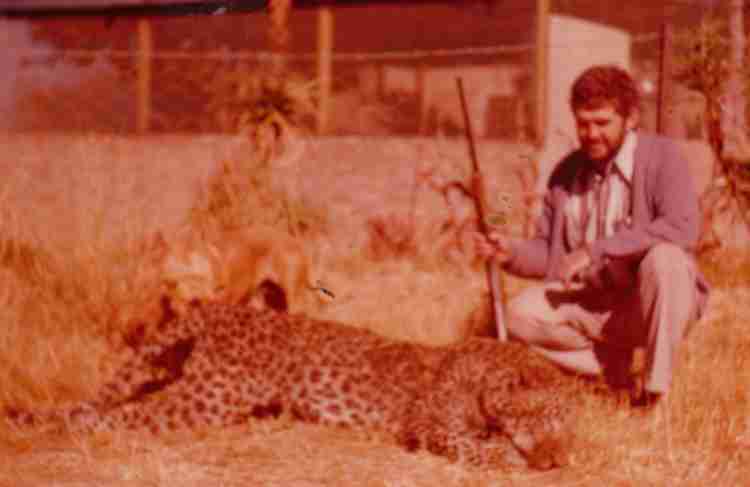 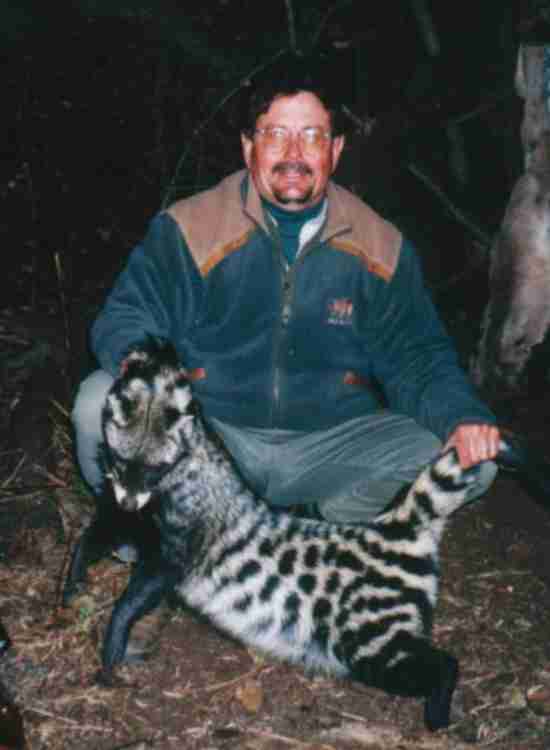 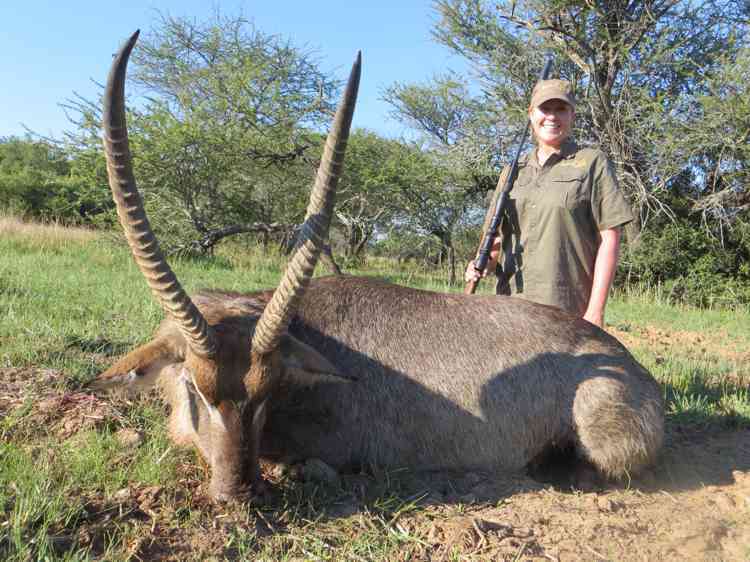 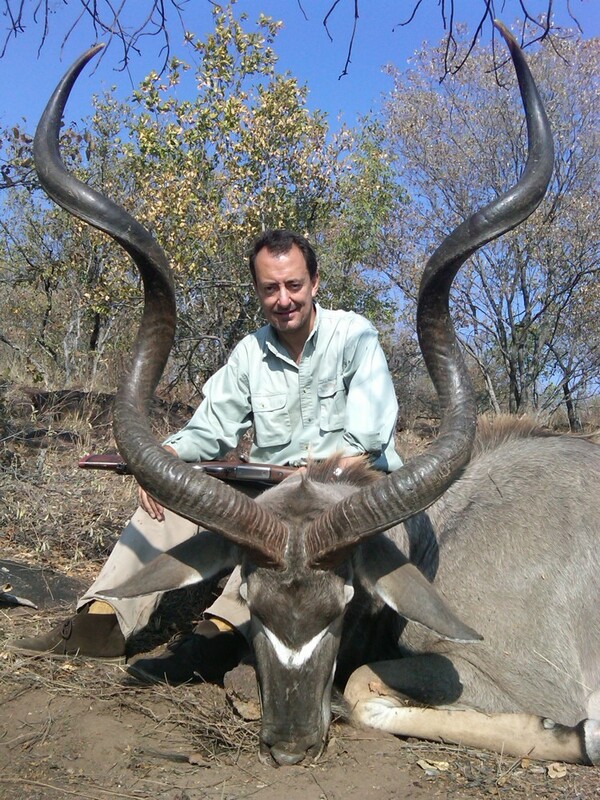 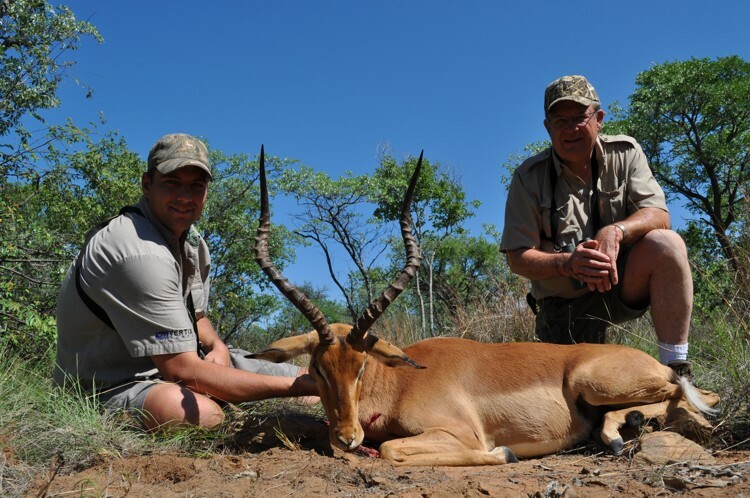 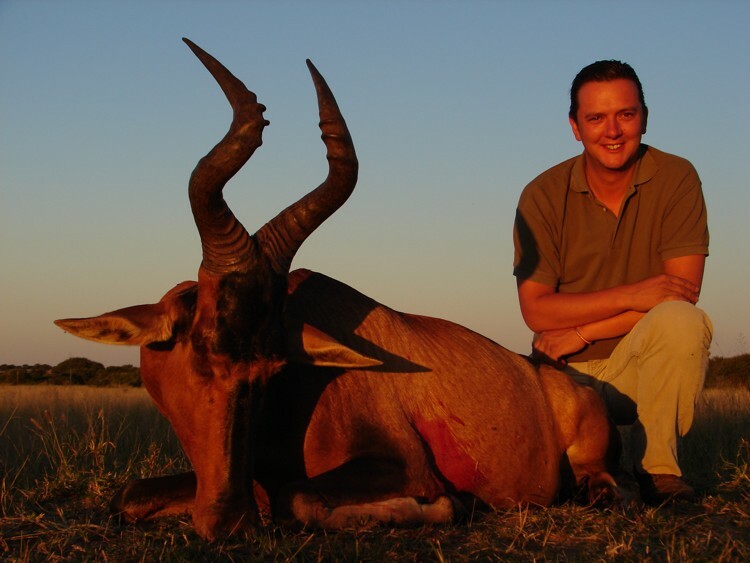 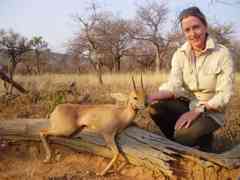 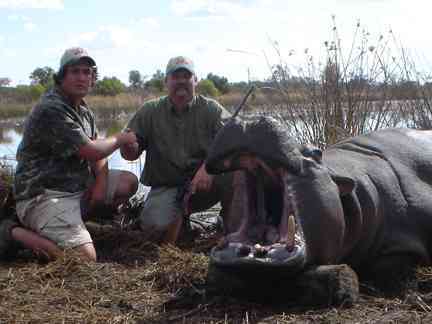 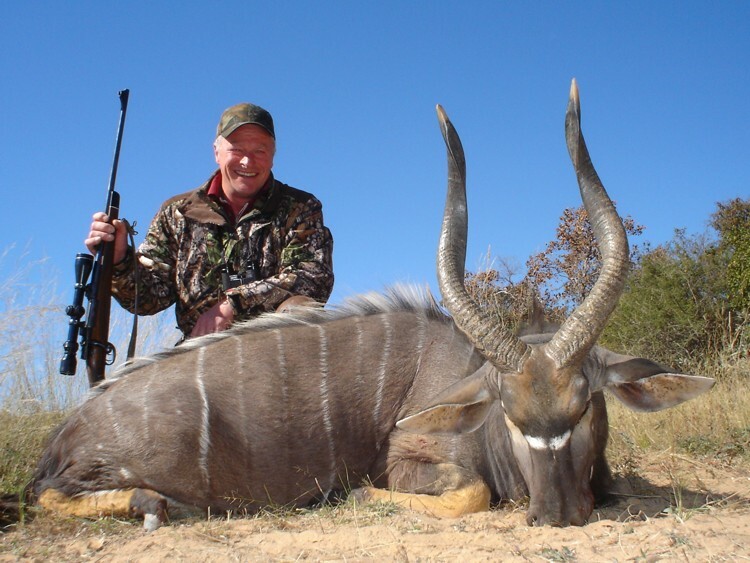 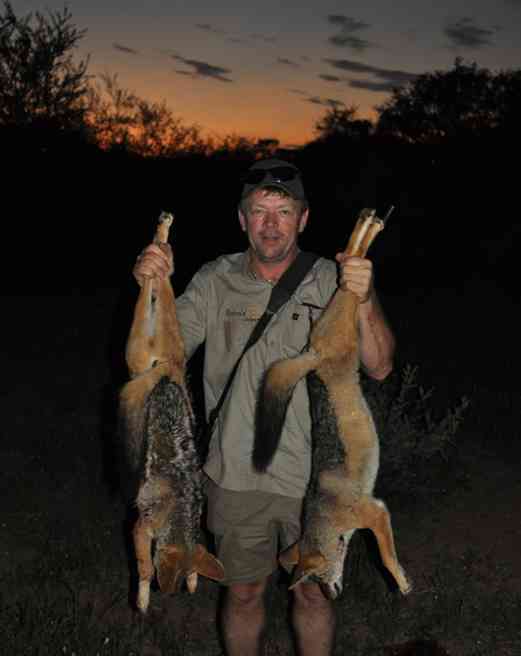 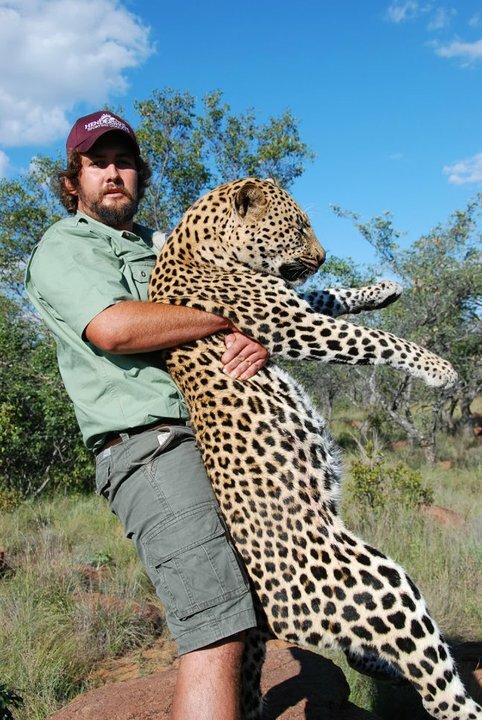 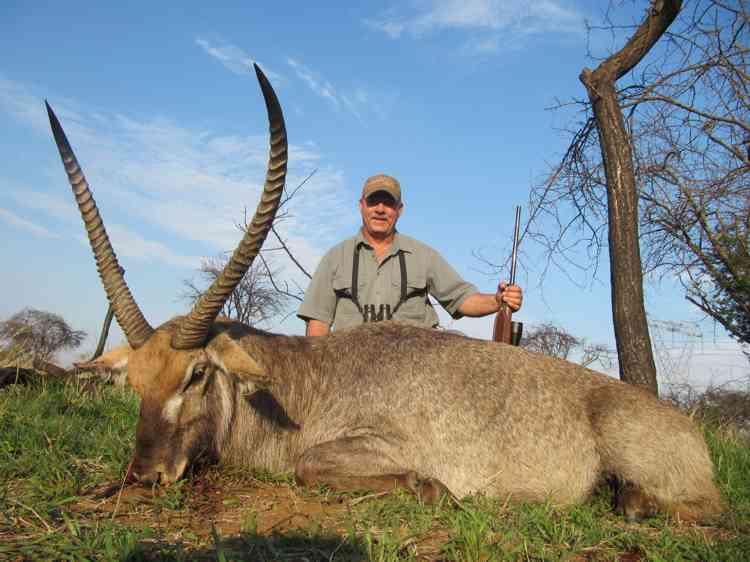 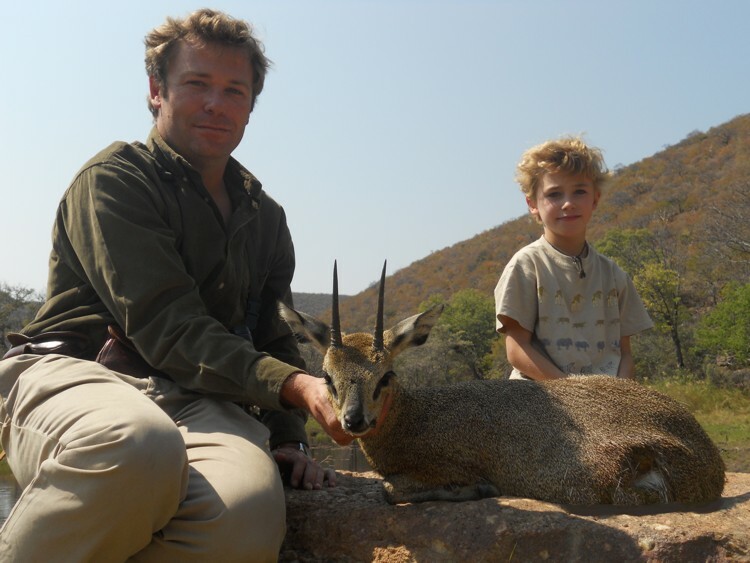 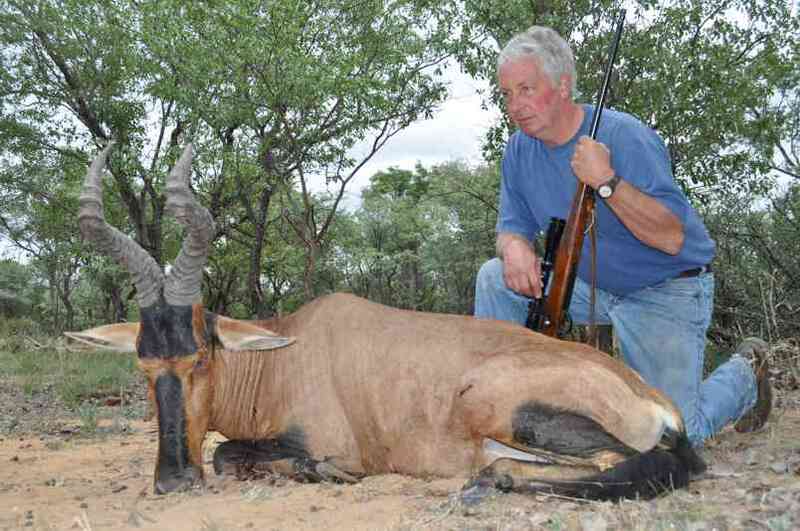 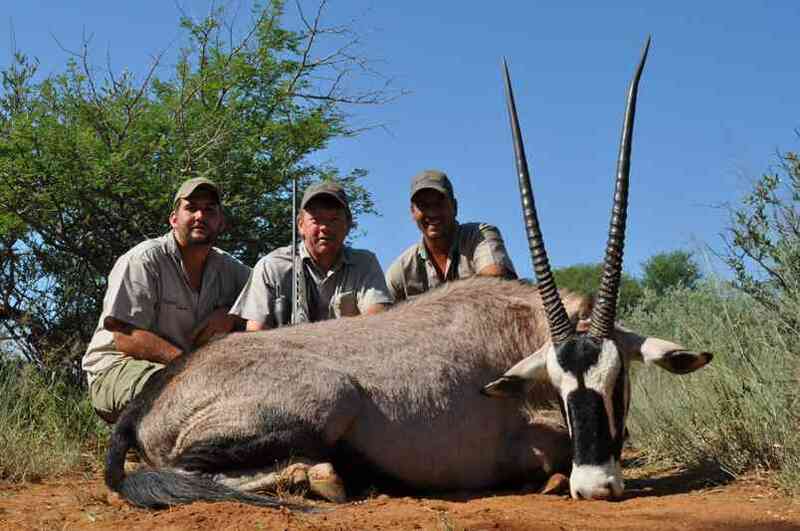 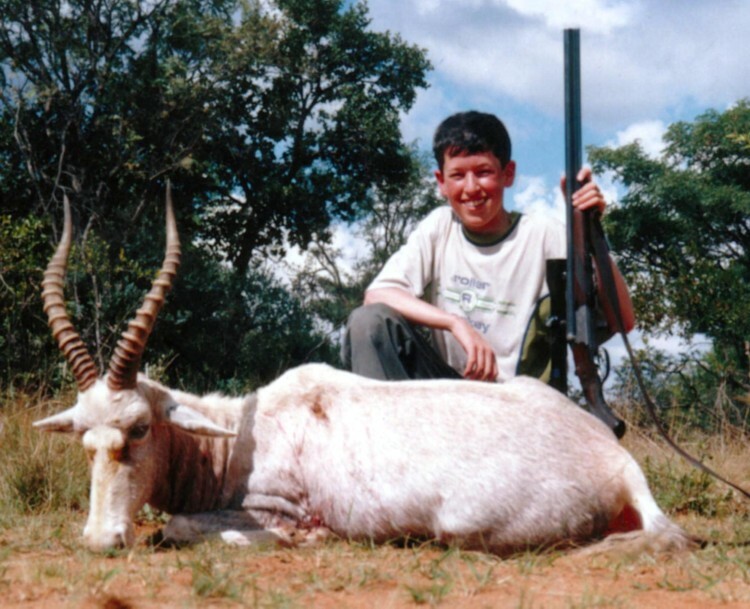 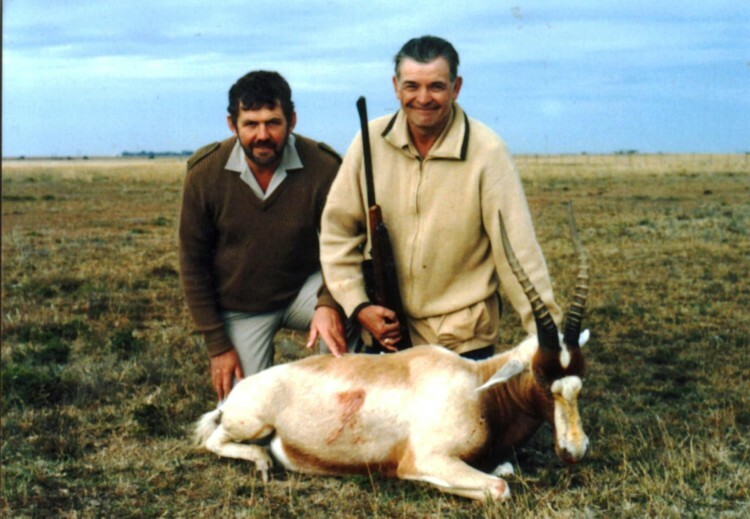 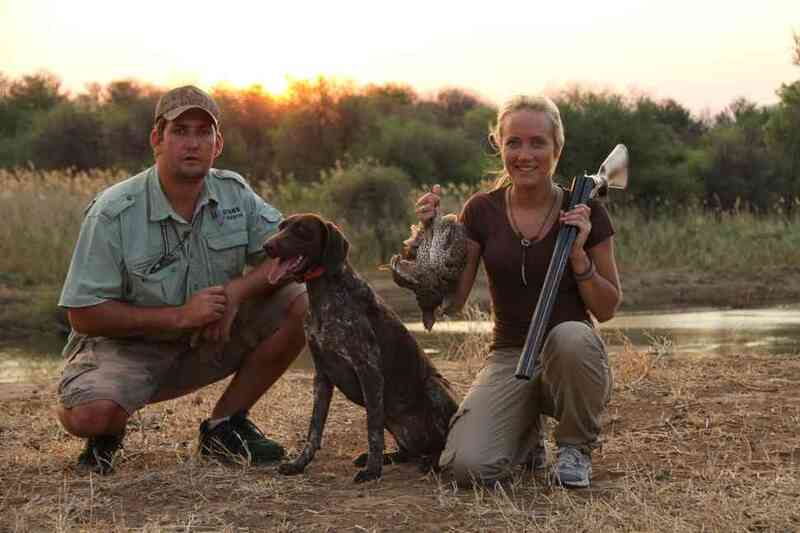 Elated American hunter with an excellent Impala ram. 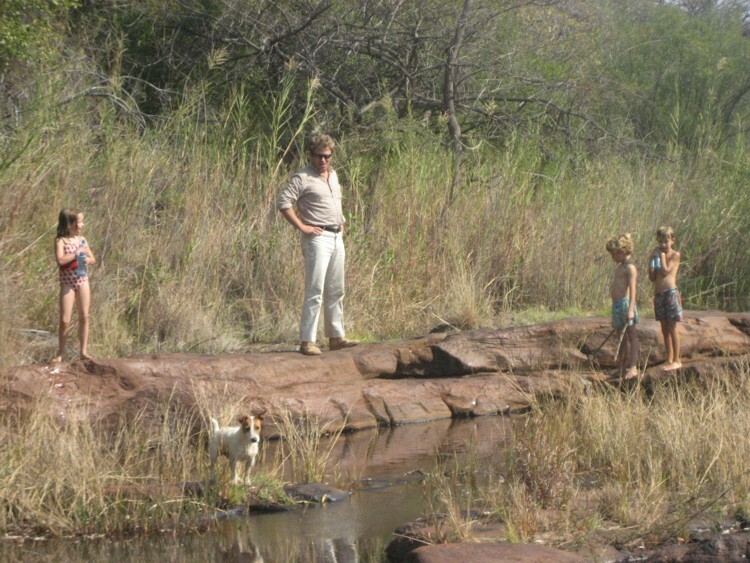 Enjoying the natural beauty of the Water Berg. 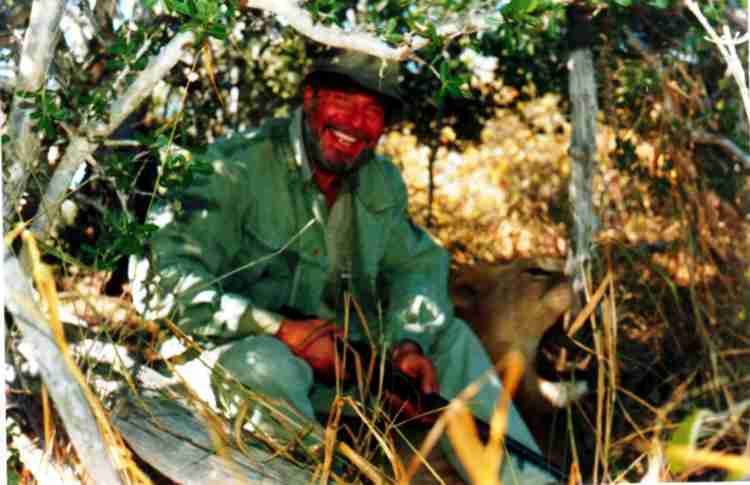 "Come and enjoy the hospitality and craftsmanship of the entire Jacobs Family"